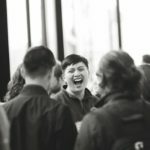 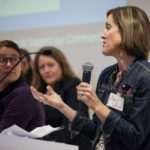 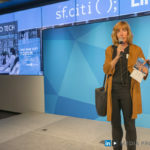 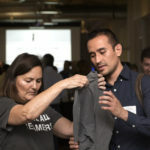 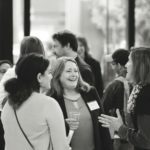 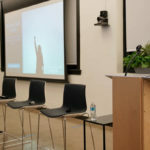 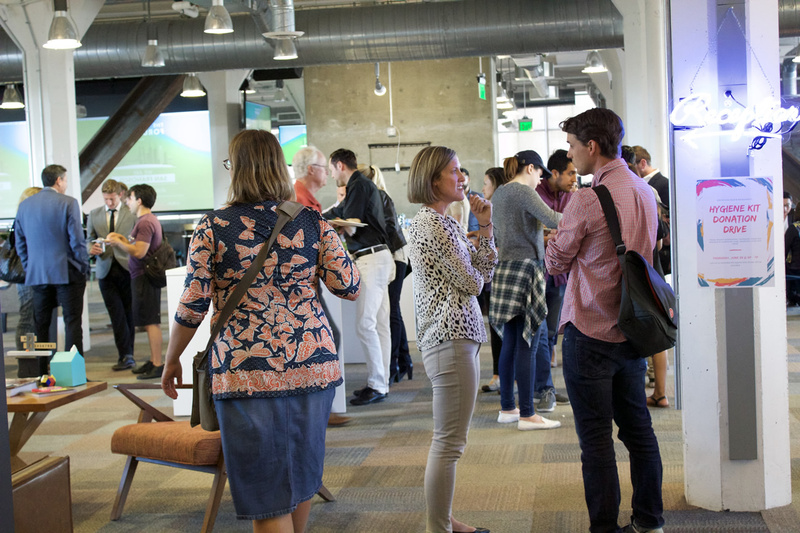 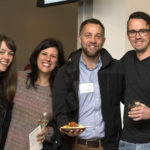 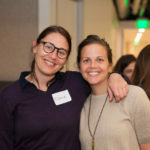 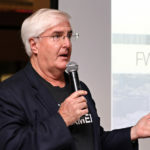 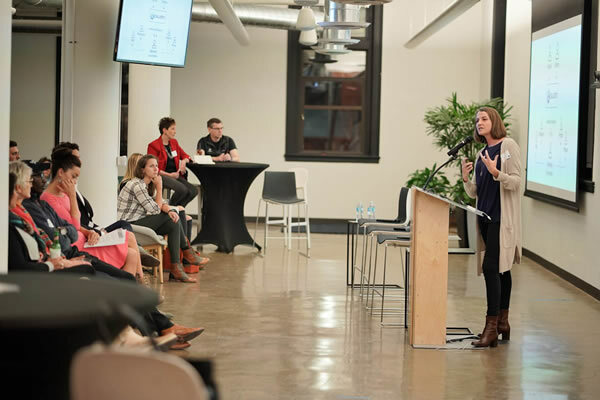 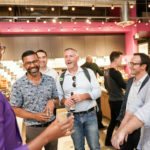 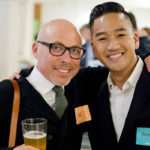 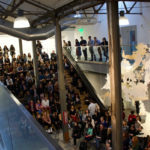 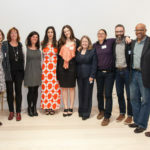 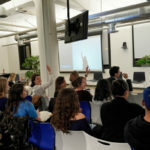 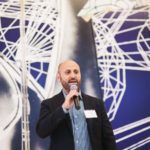 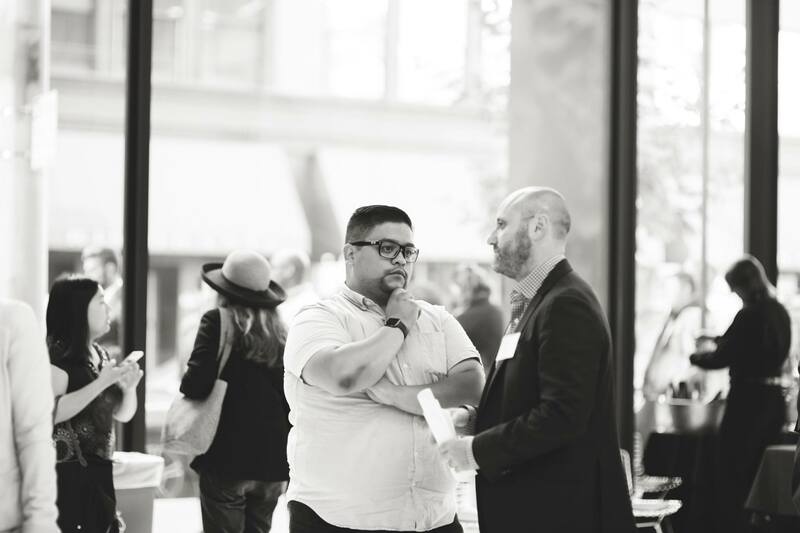 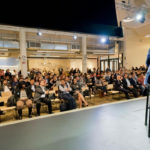 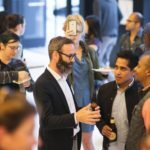 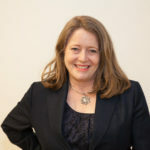 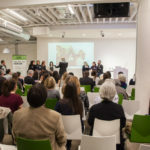 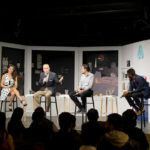 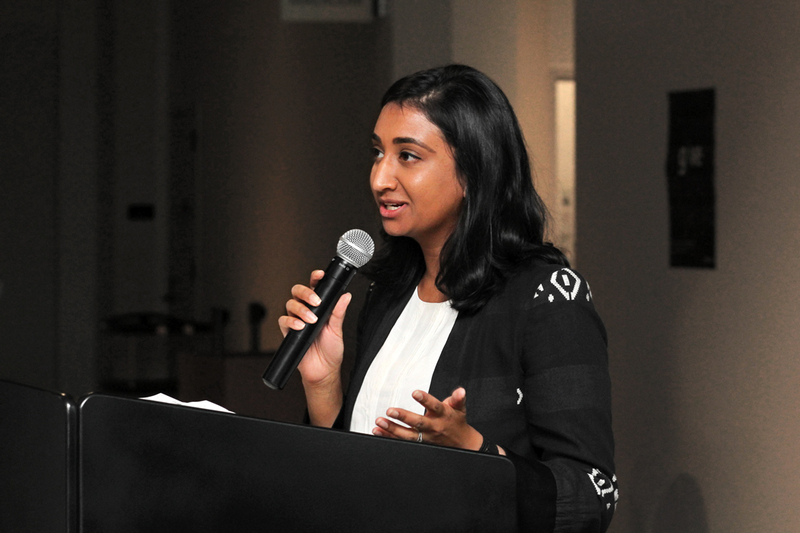 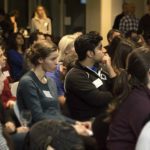 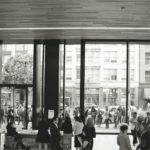 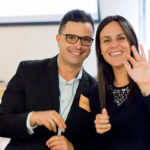 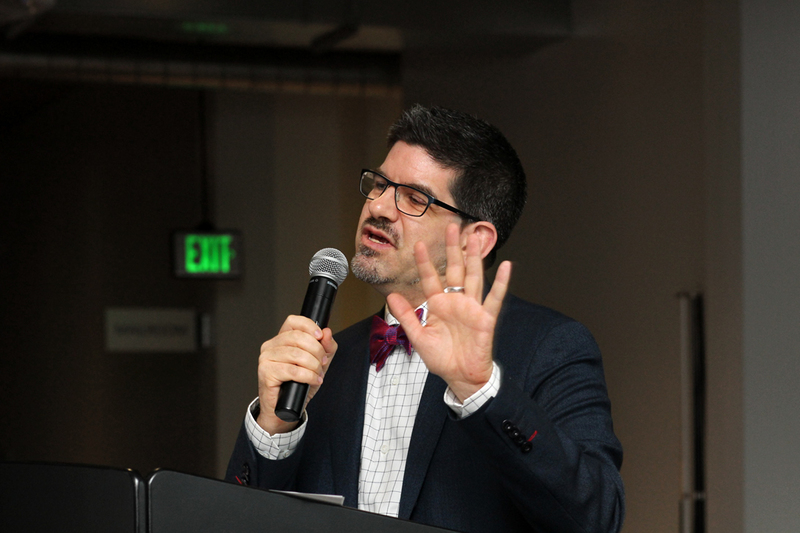 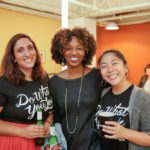 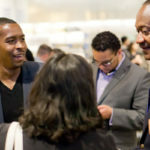 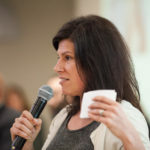 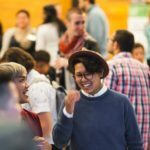 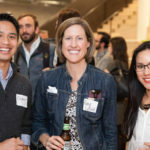 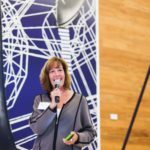 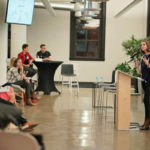 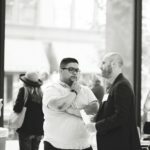 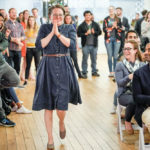 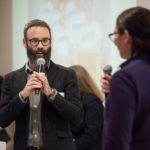 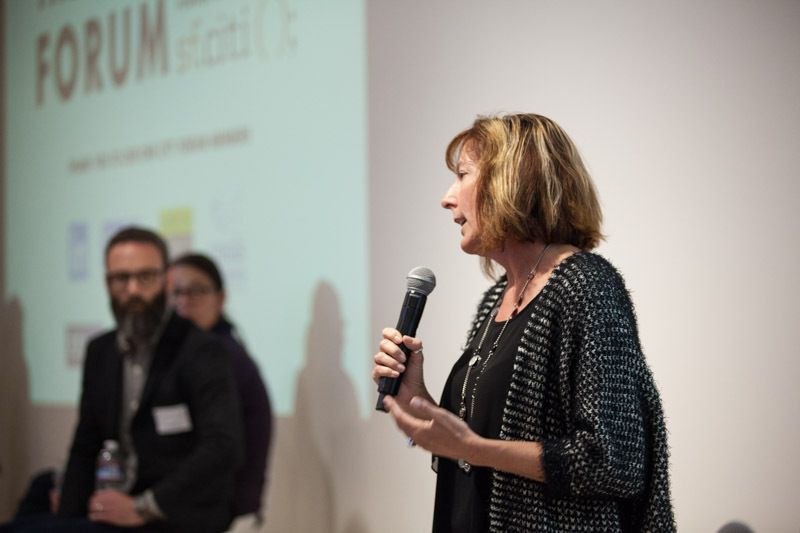 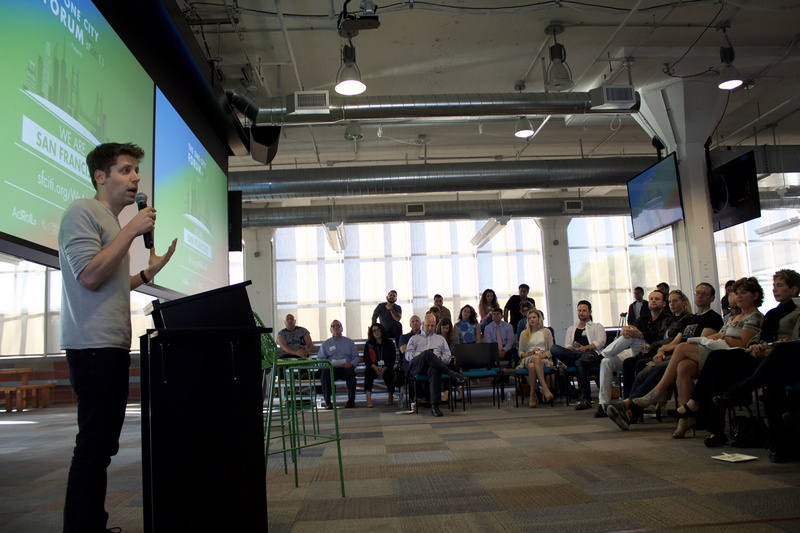 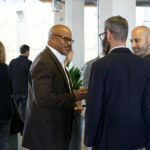 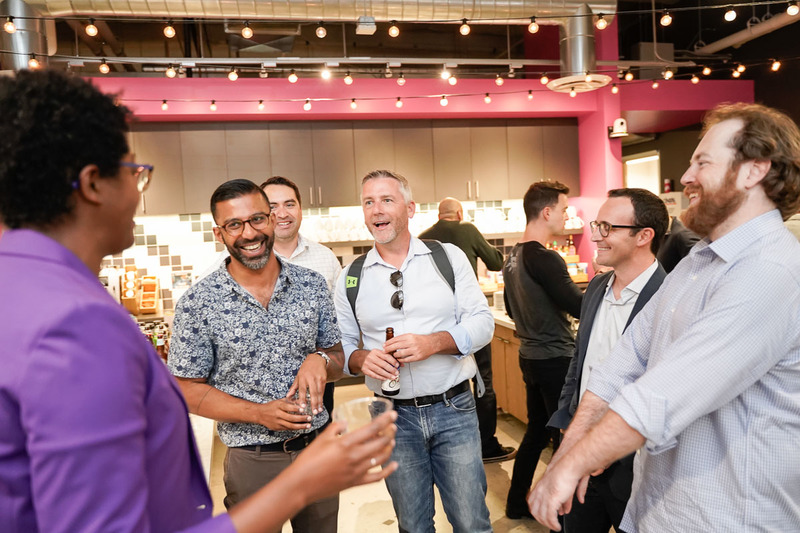 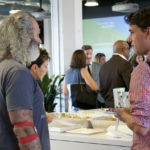 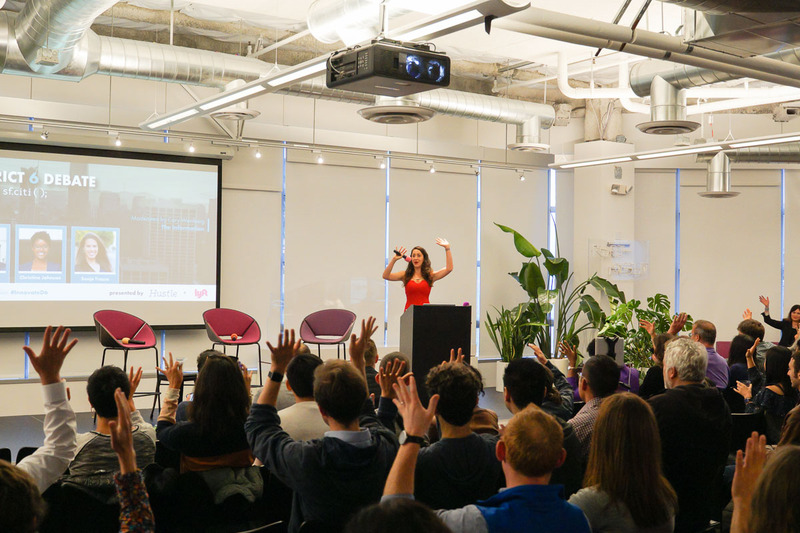 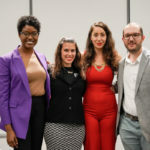 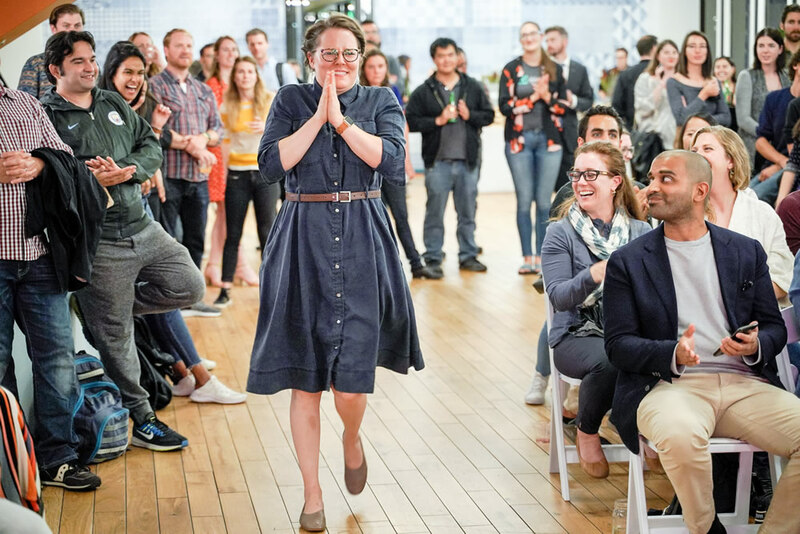 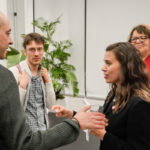 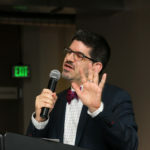 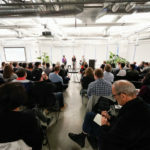 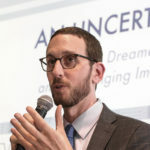 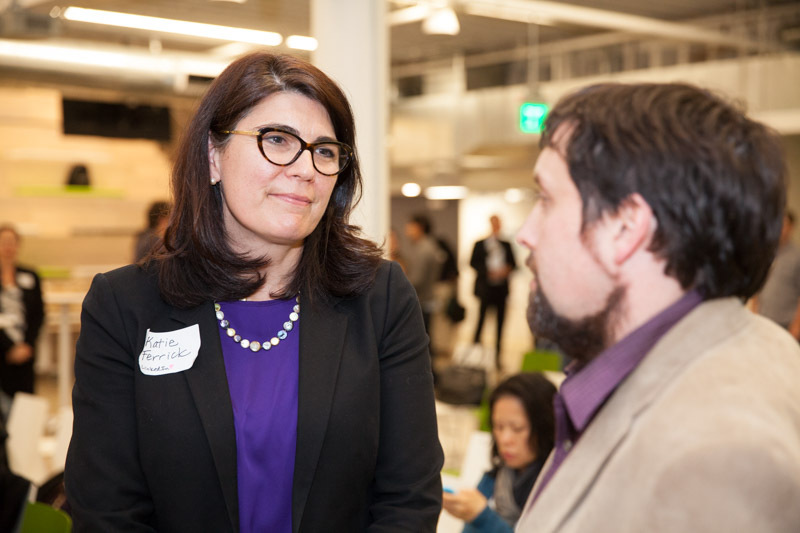 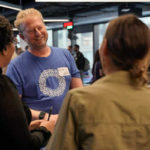 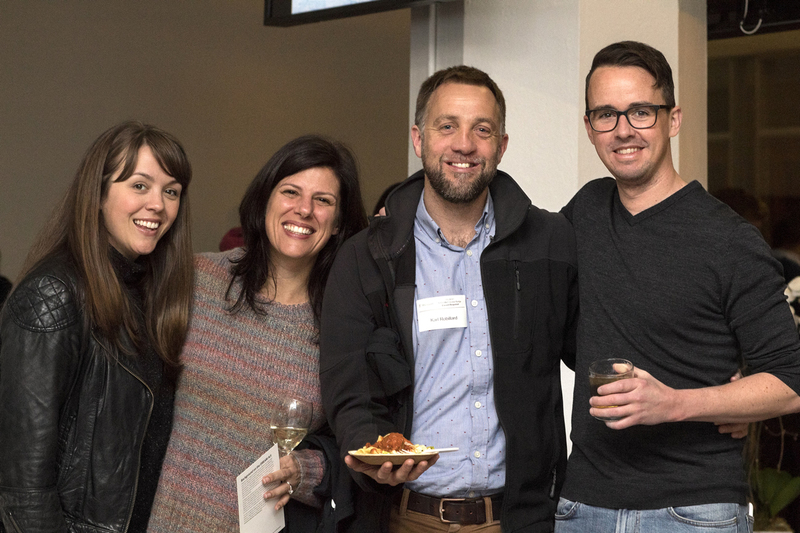 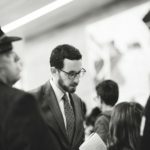 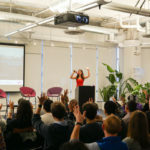 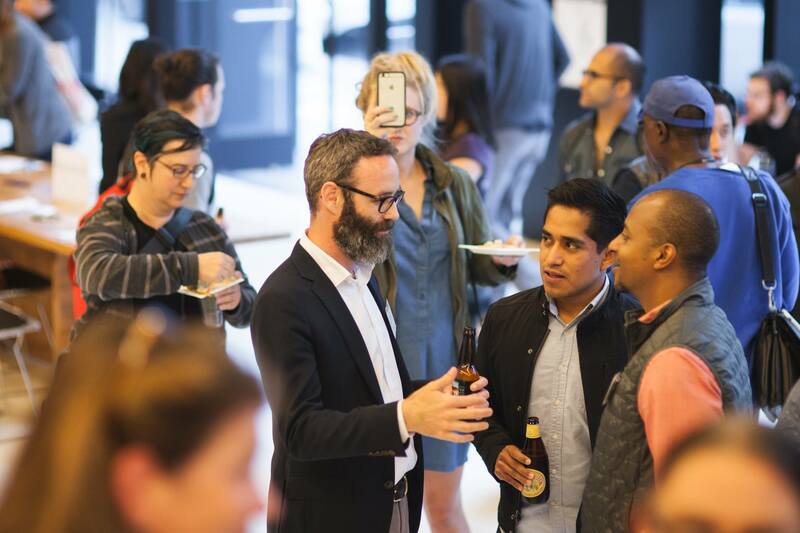 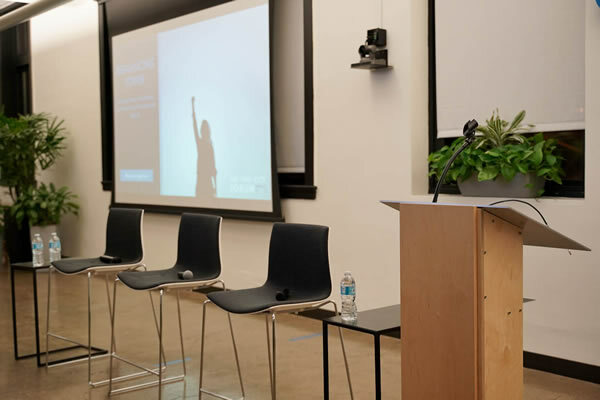 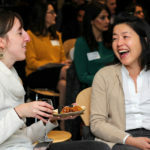 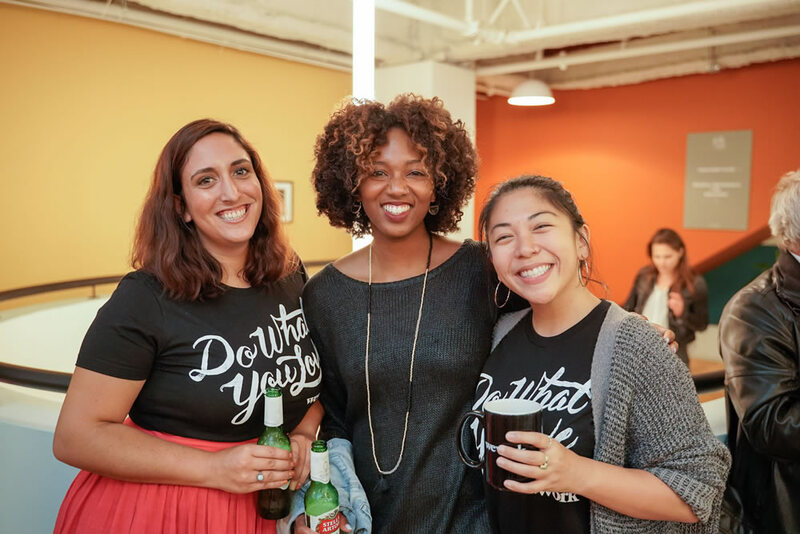 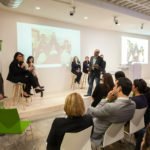 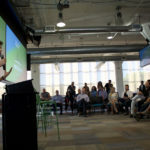 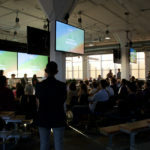 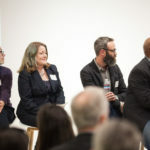 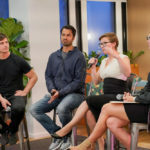 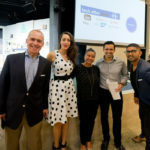 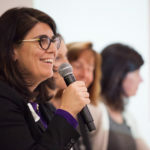 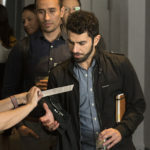 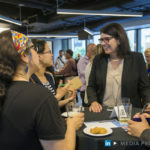 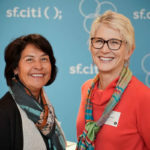 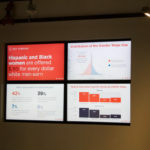 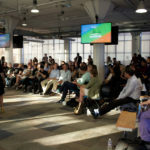 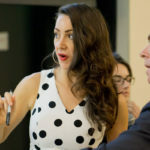 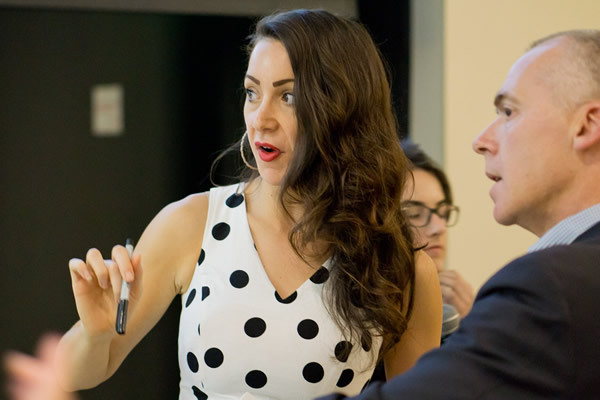 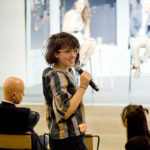 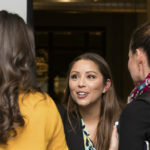 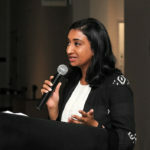 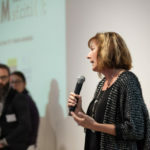 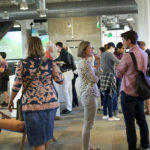 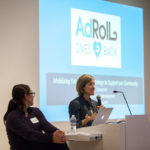 sf.citi regularly hosts tech events that connect San Francisco’s tech industry, local policymakers, and the greater community. 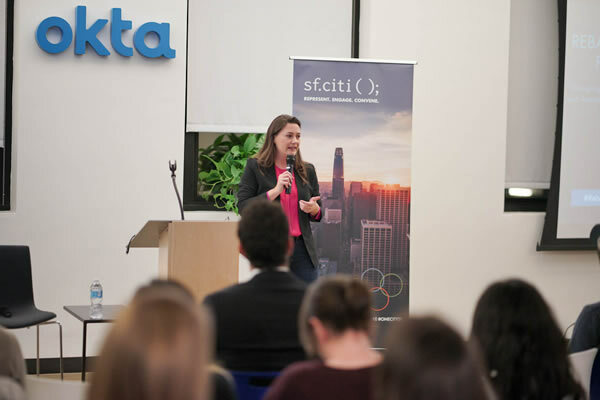 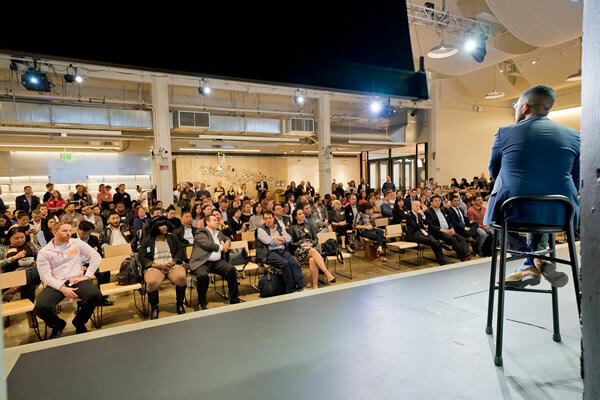 In addition to our quarterly One City Forum event series, sf.citi organizes several large-scale partner events to further unite the tech industry and other sectors in the city. 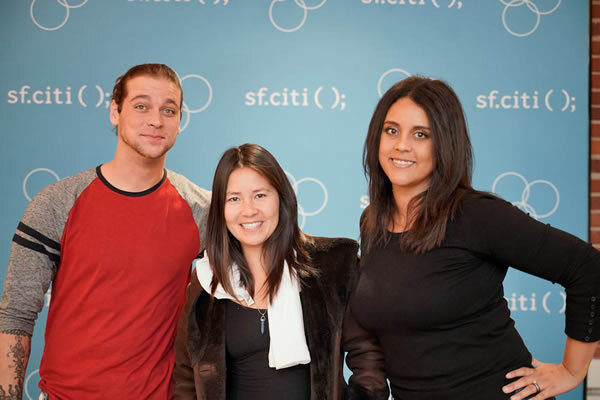 All sf.citi events offer thoughtful insight and information on topical issues affecting San Francisco’s tech community and the city as a whole. 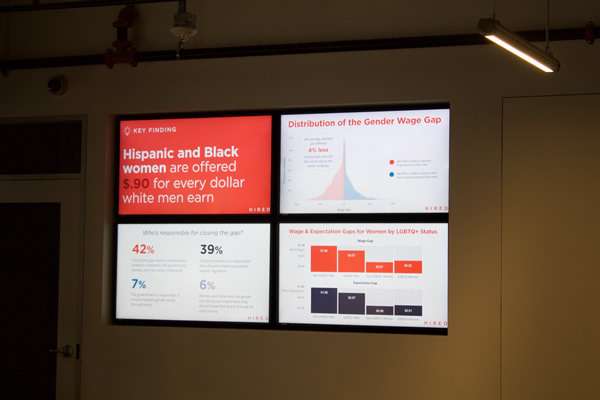 These include gender pay inequity, tech’s impact on the growth of small business, workforce development, sustainability, and more. 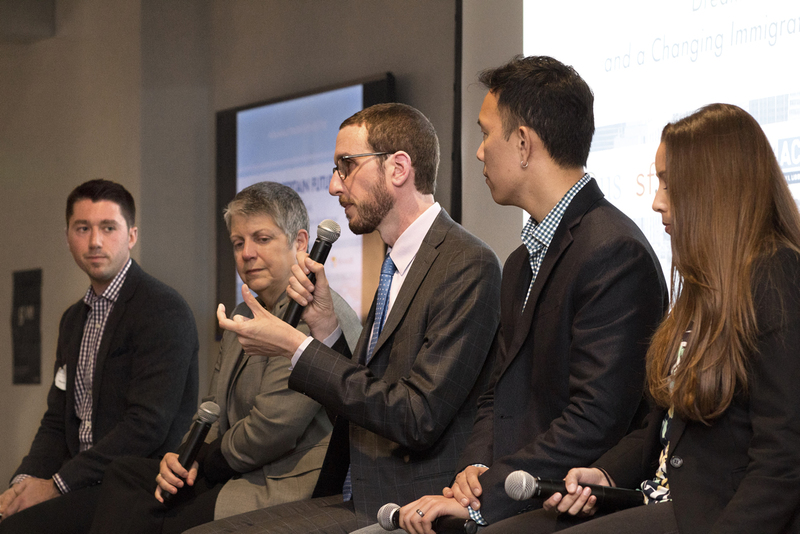 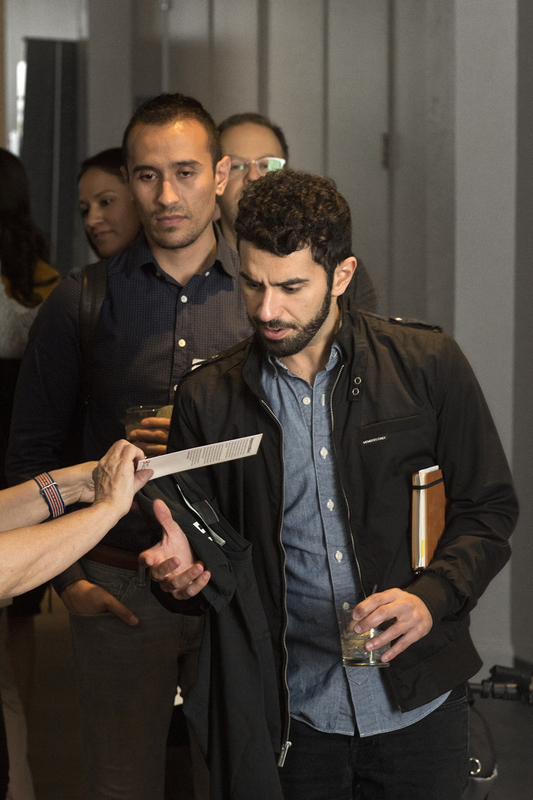 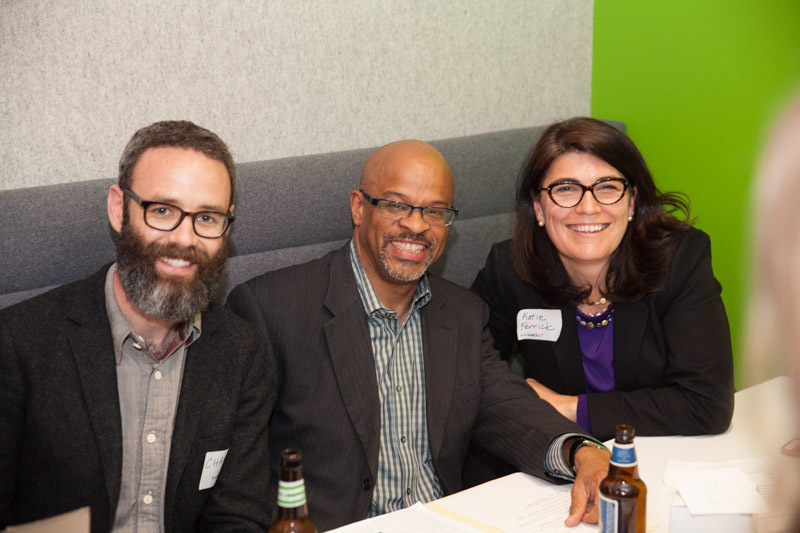 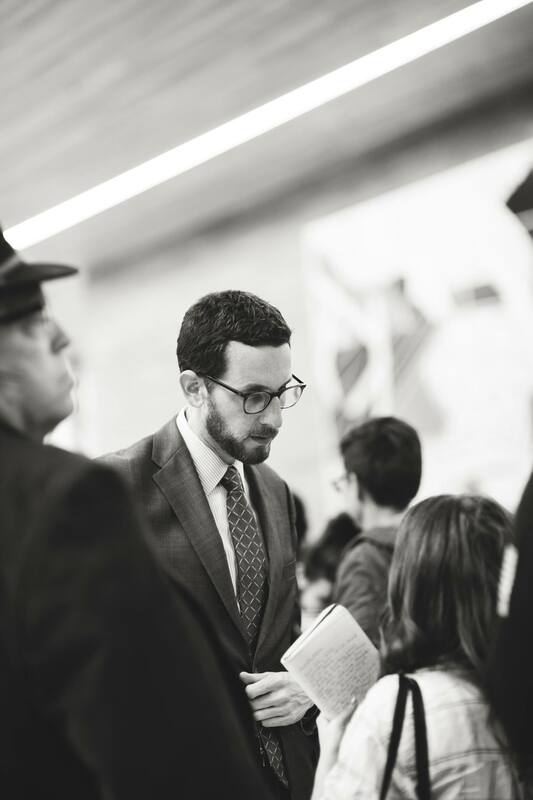 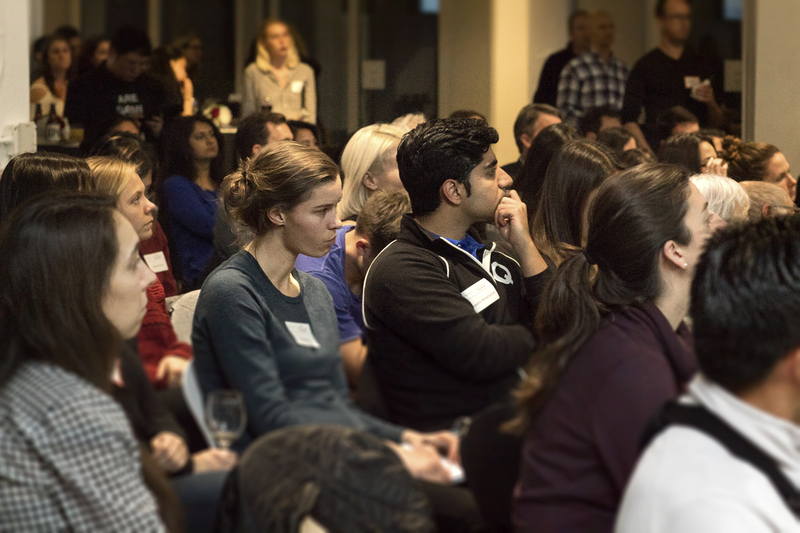 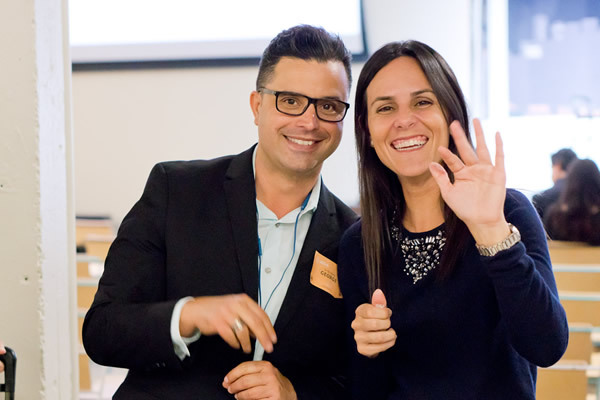 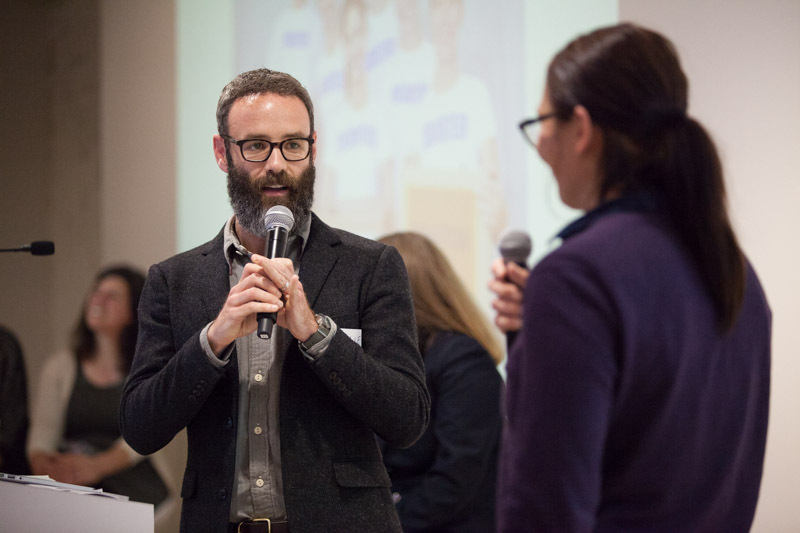 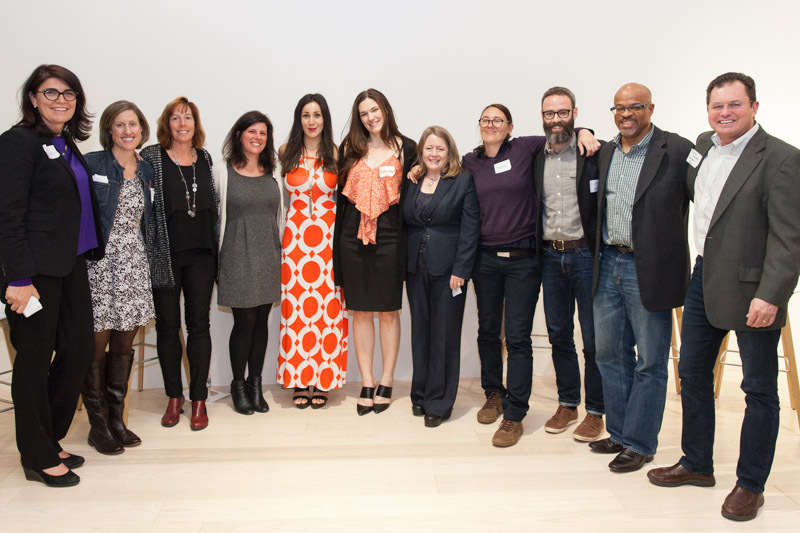 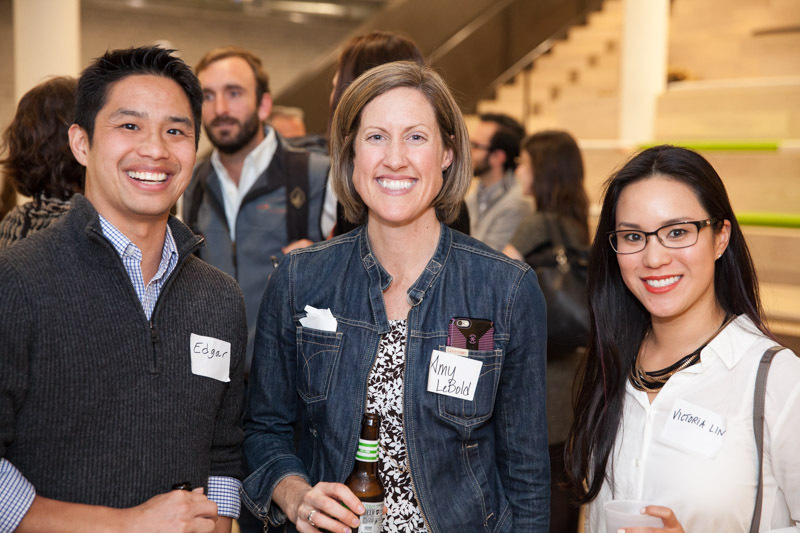 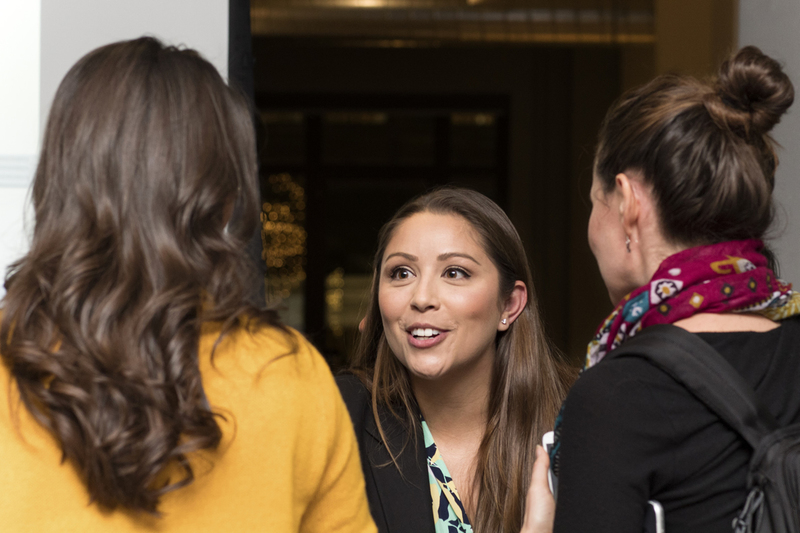 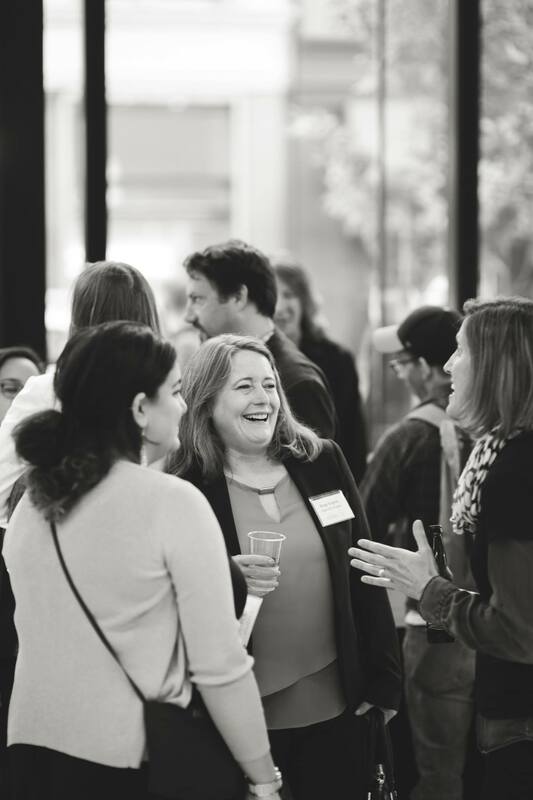 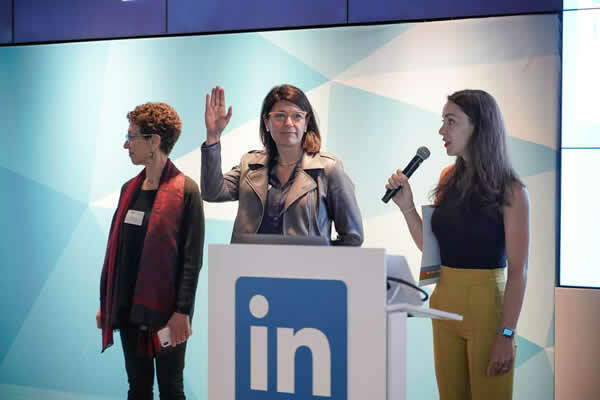 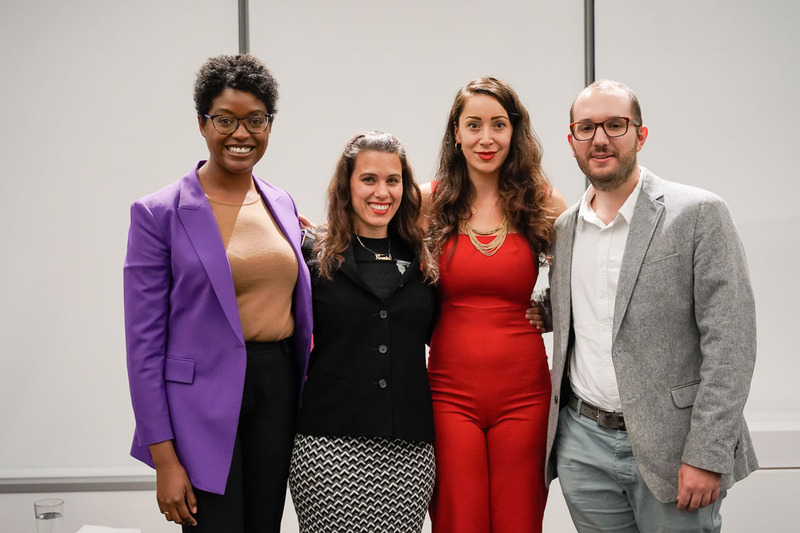 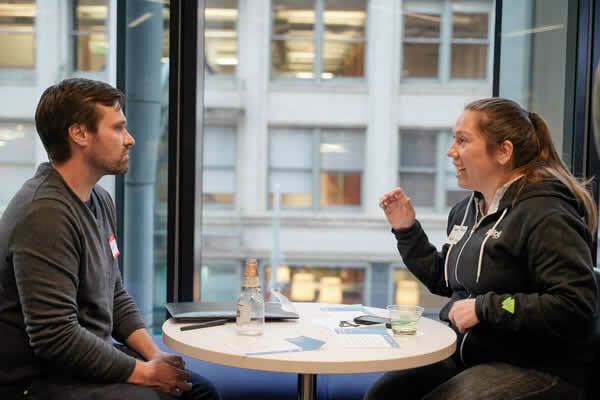 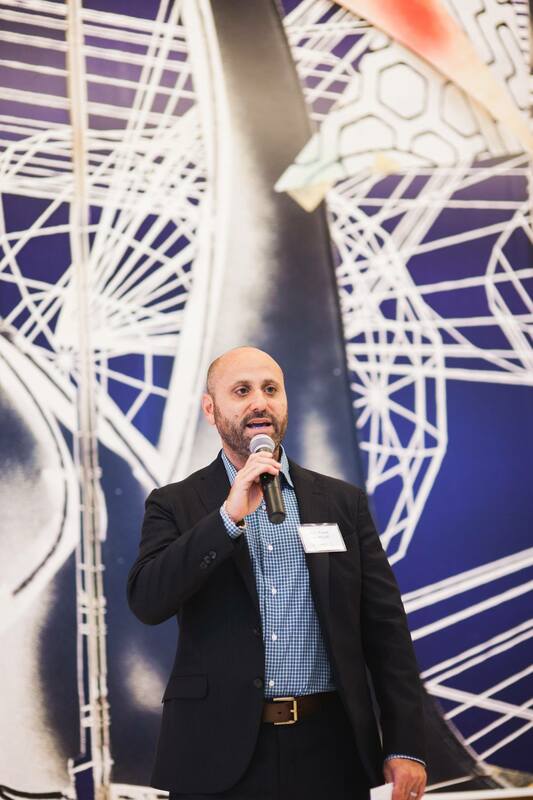 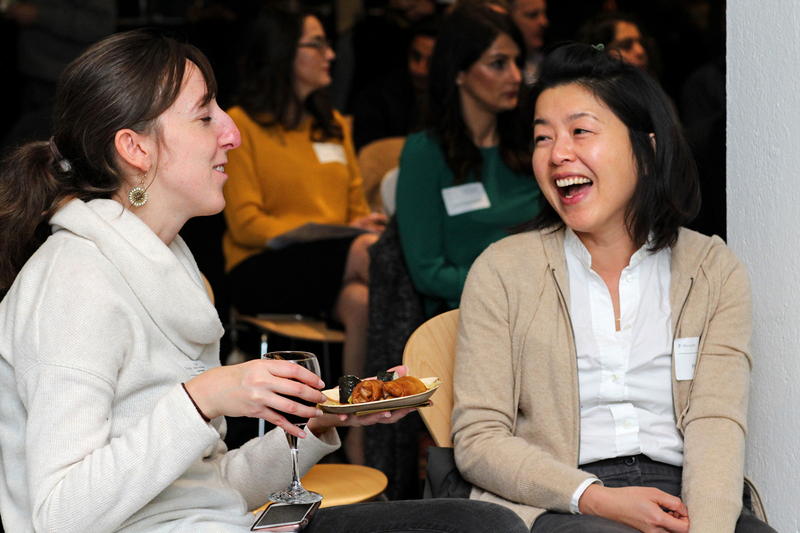 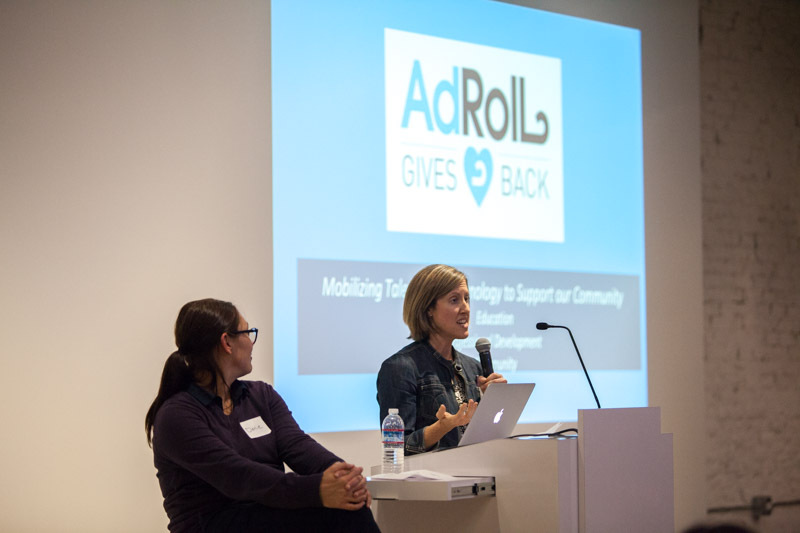 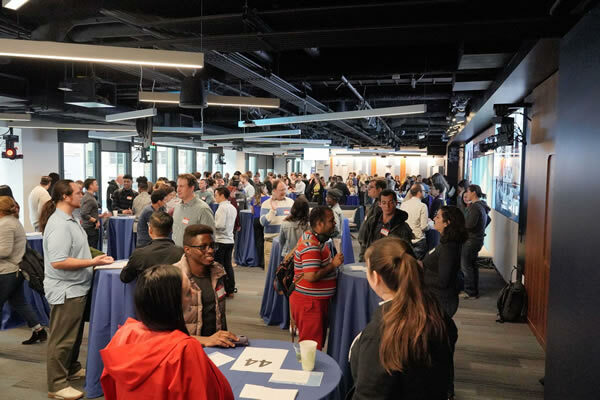 To kick off our One City Forum event series of 2019, sf.citi partnered with LinkedIn, HireClub, and Jewish Vocational Service (JVS) for the second iteration of Breaking Into Tech. 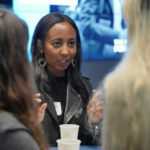 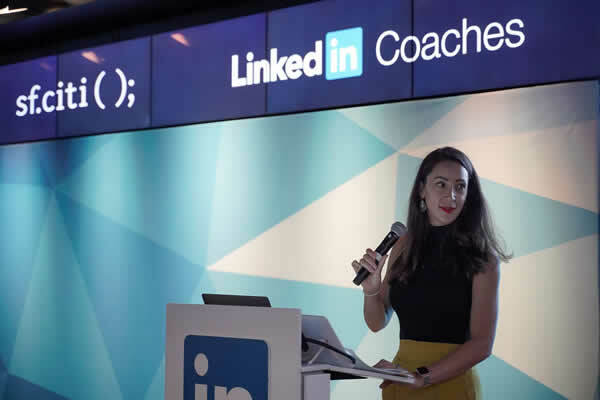 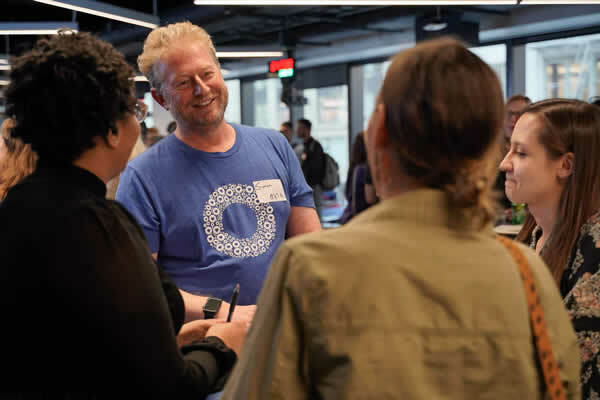 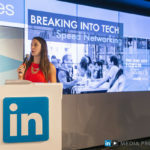 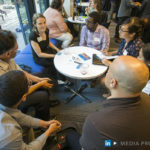 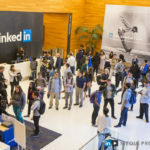 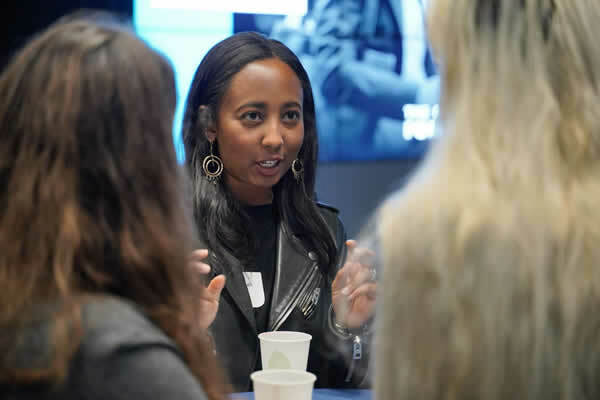 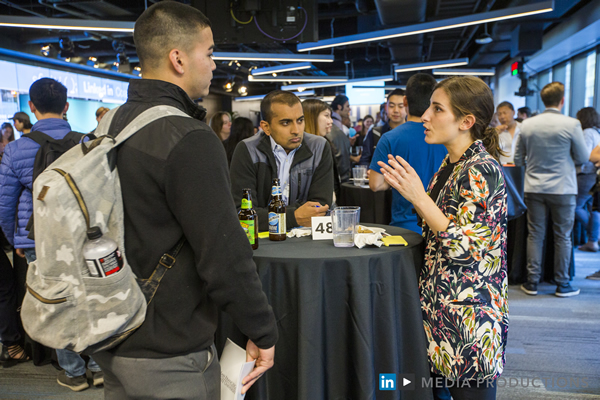 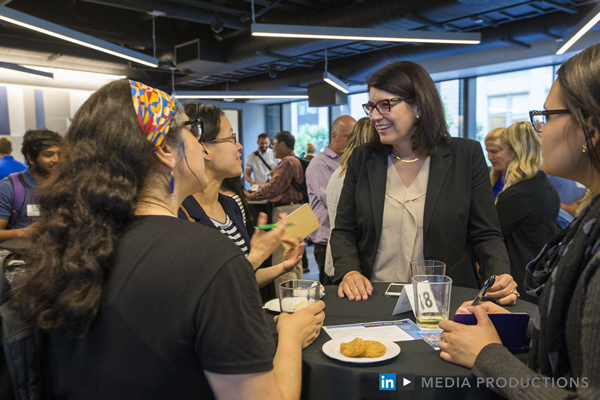 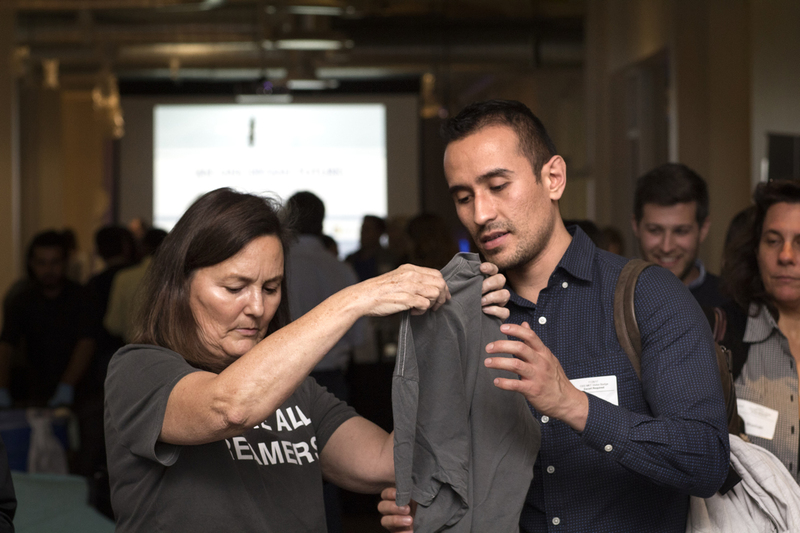 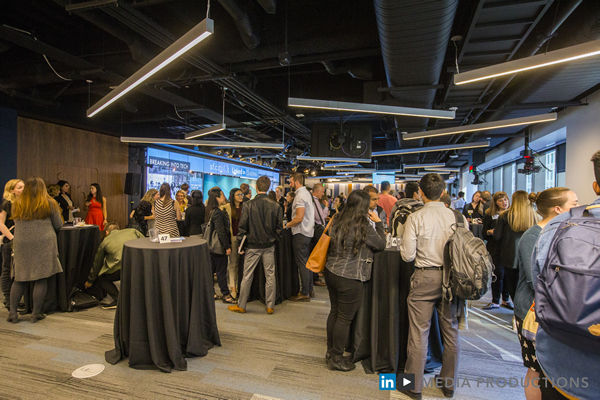 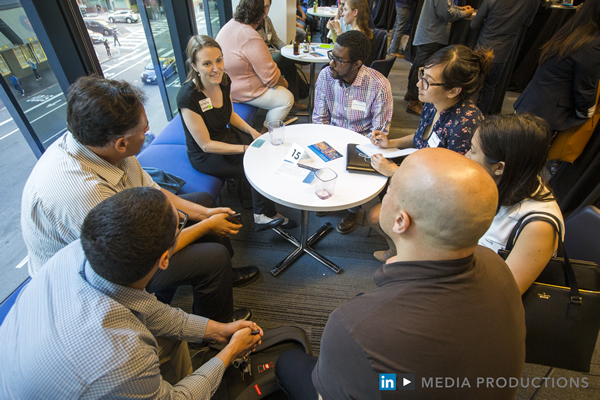 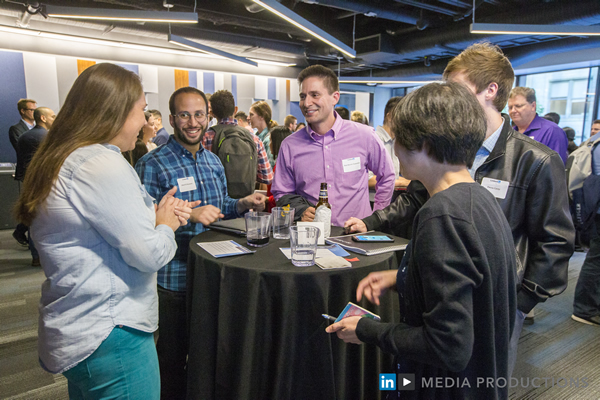 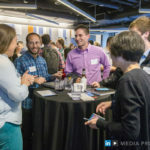 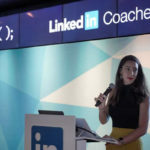 Hosted at LinkedIn’s office in downtown San Francisco, Breaking Into Tech brought tech newcomers and experts together for a fast-paced evening of speed networking. 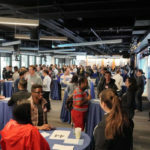 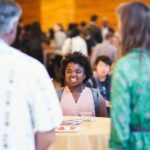 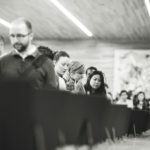 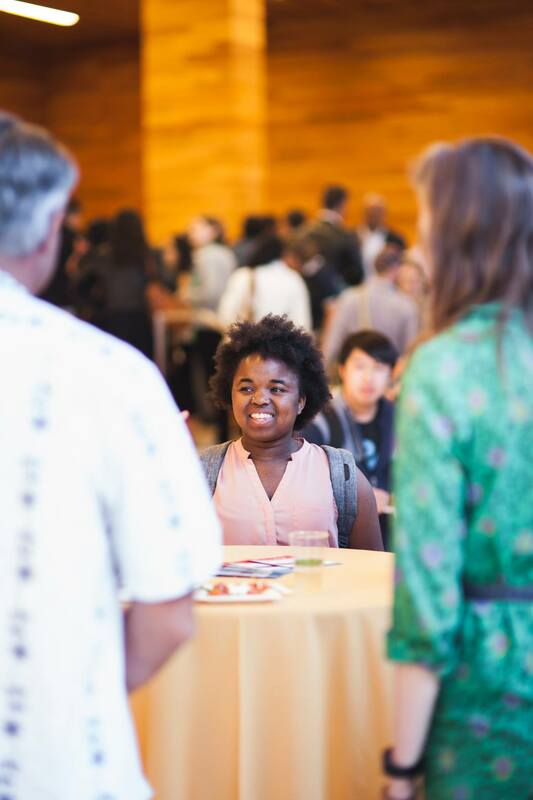 Our 150+ attendees had the unique opportunity to speak with employees from the city’s most prominent tech companies, including sf.citi members AdRoll, Airbnb, Cruise Automation, Facebook, Lyft, Okta, Postmates, Zoox, and many more. 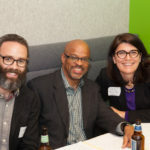 As an added bonus, job seekers received lightning resume reviews from career coaching platform HireClub all night long. 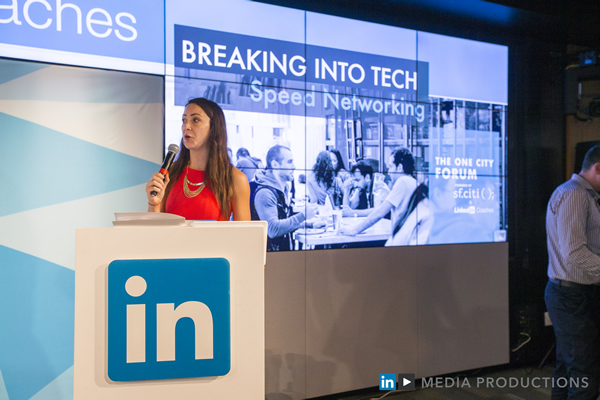 Get a full recap of the Breaking into Tech event here. 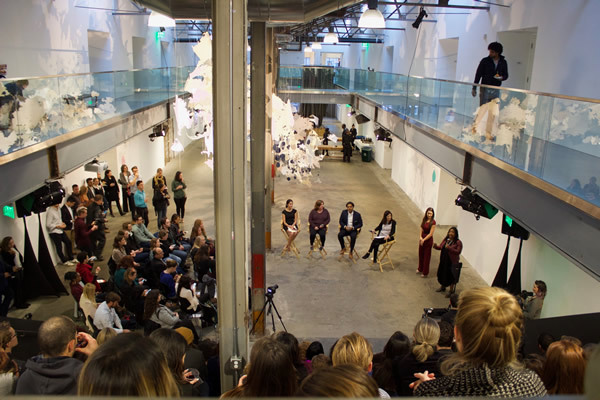 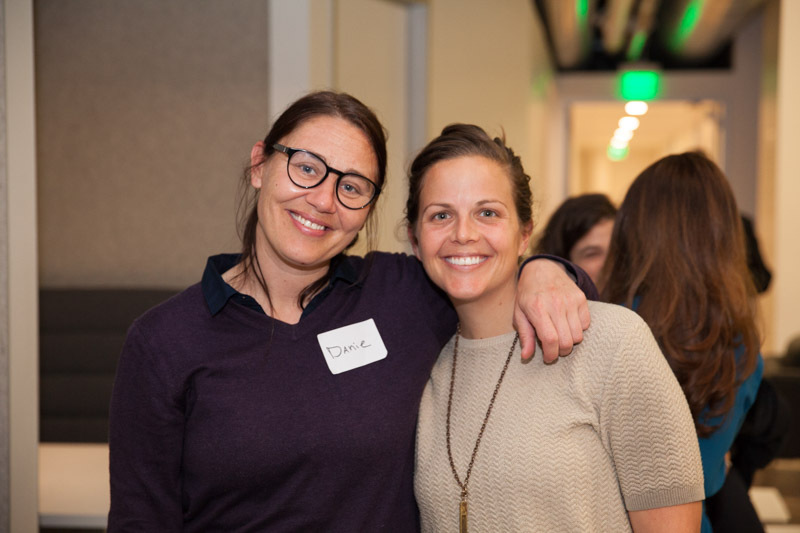 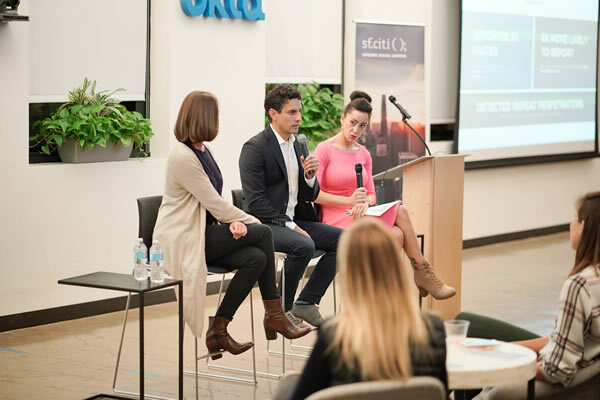 sf.citi hosted the final One City Forum event of 2018, Rebalancing Power, at Okta HQ in partnership with the Phenomenal Woman Action Campaign. 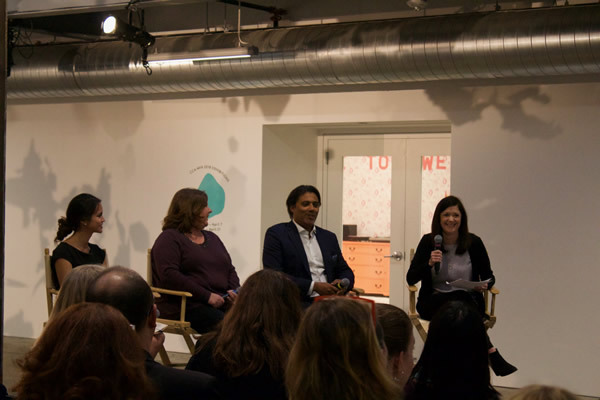 Organized just after the November 6th Midterm Elections, when a record number of women were voted into office, this timely conversation focused on ways to end sexual assault and harassment, and highlight how technology can be part of the solution. 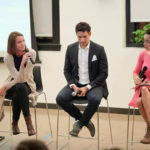 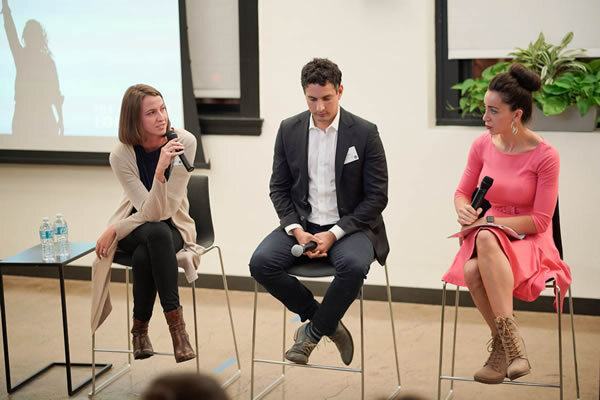 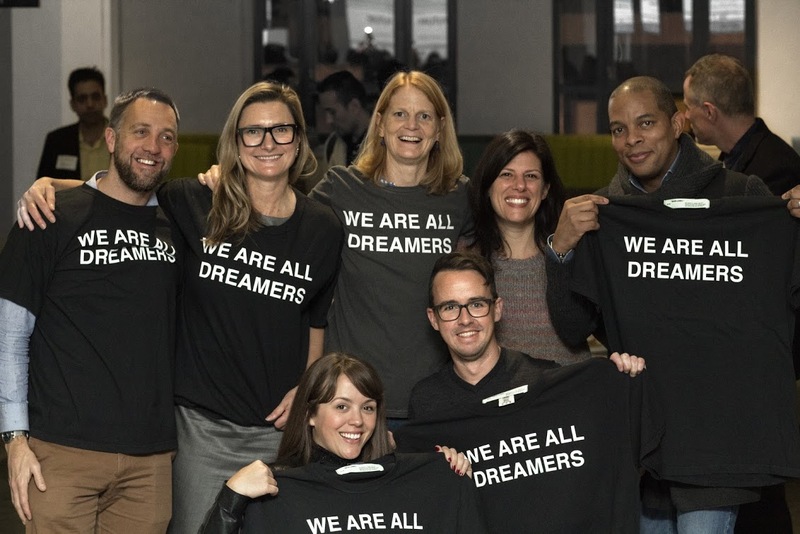 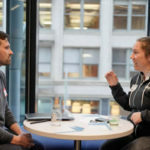 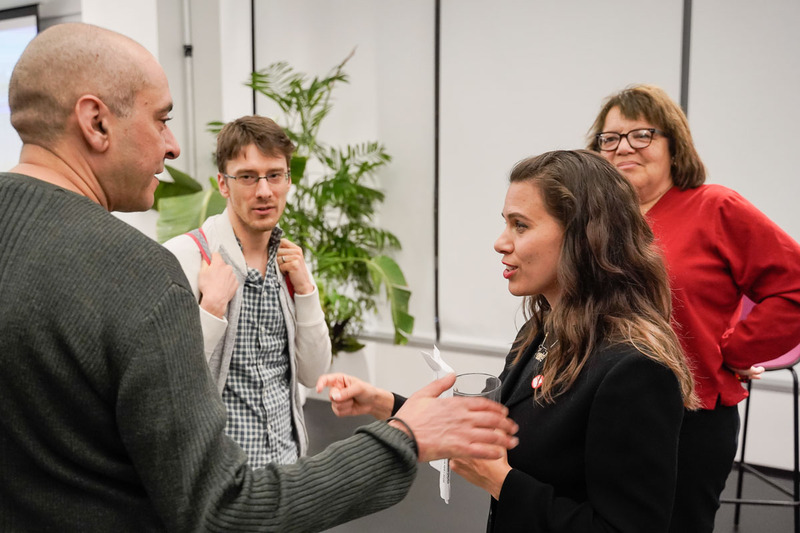 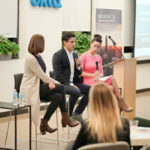 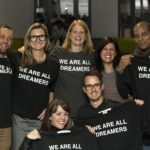 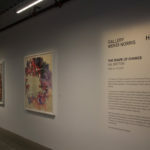 To carry the conversation, sf.citi Executive Director Jennifer Stojkovic spoke with Jess Ladd, Founder and CEO of Callisto, and Peter Urias, Lead Employment Counsel, at sf.citi member Airbnb. 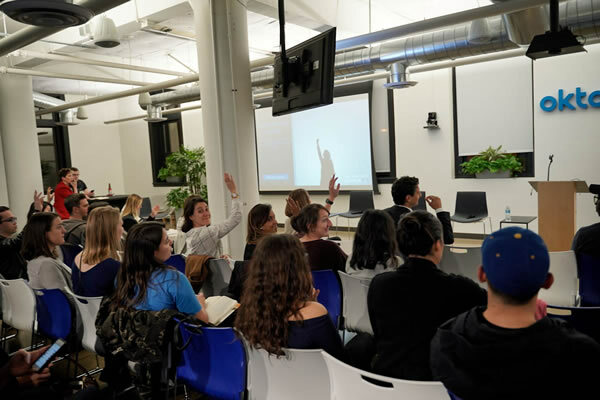 Before a packed room of attendees representing a wide range of industries, Ladd gave a presentation of Callisto, a Y-Combinator backed nonprofit developing technology to empower survivors to document and report instances of sexual misconduct. 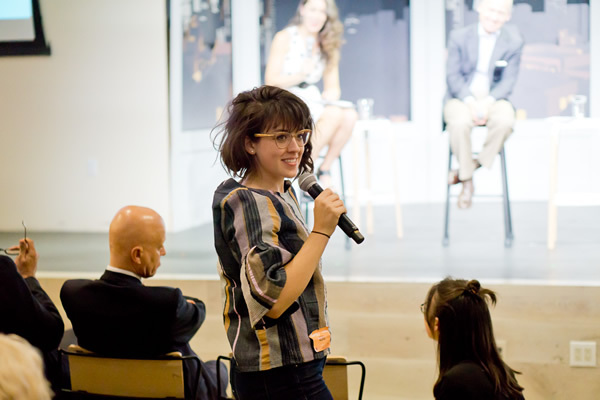 She and Peter then explored how the tech community is working to address sexism, harassment, and assault in the workplace. 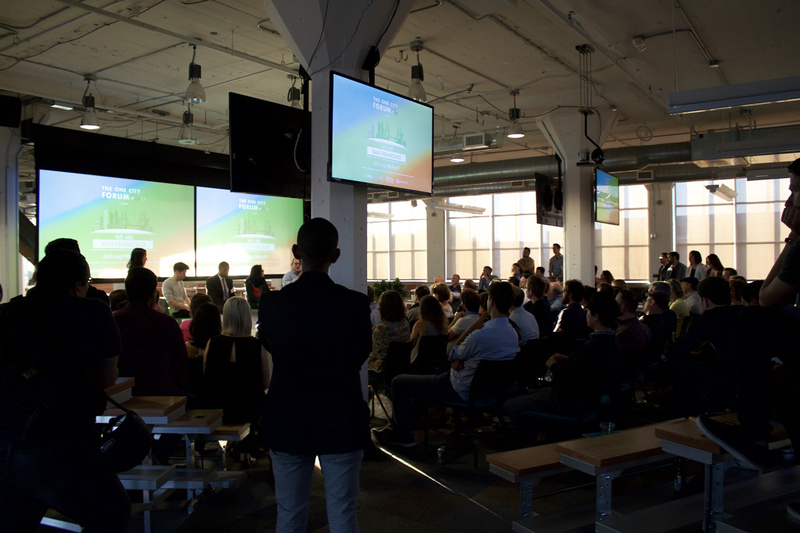 Get a full recap of the Rebalancing Power event here. 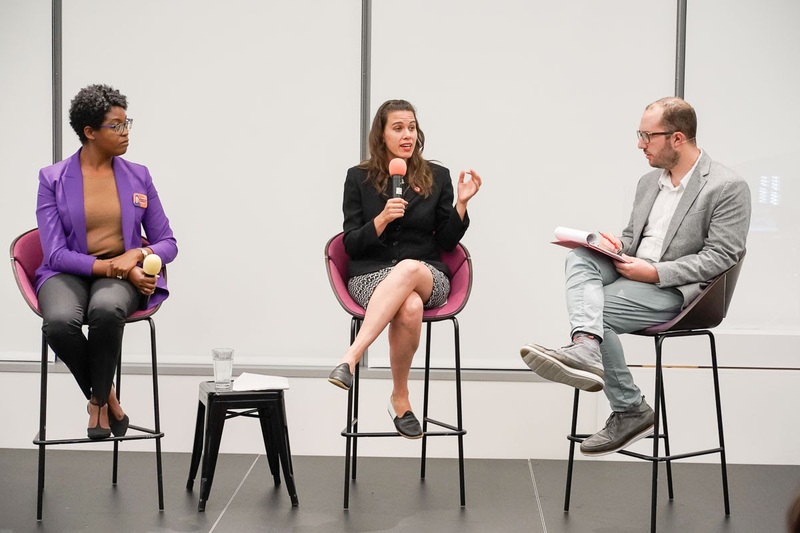 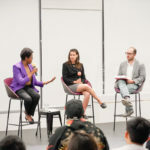 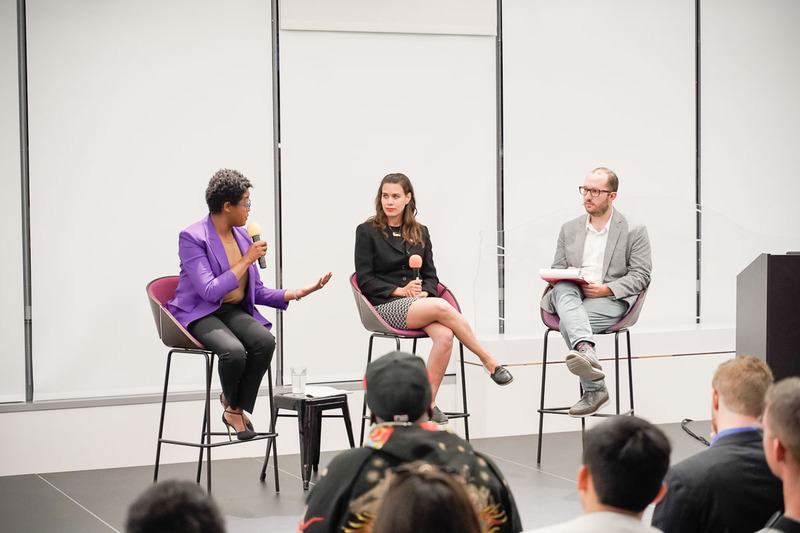 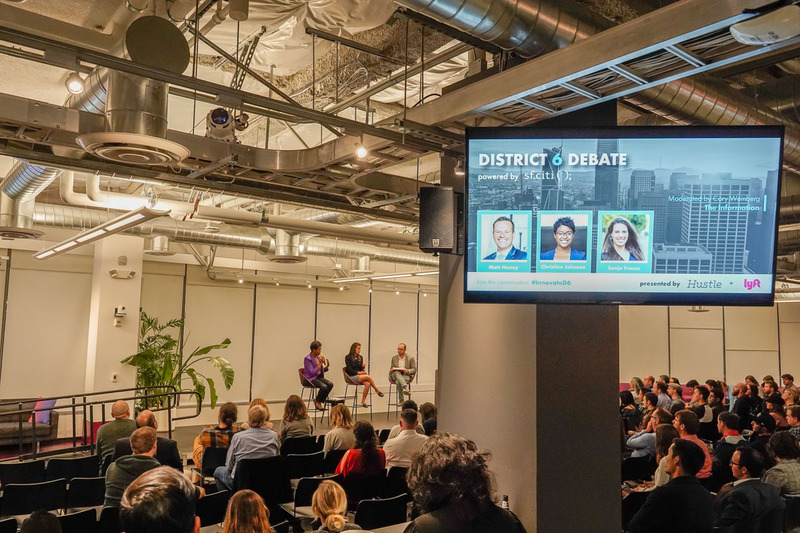 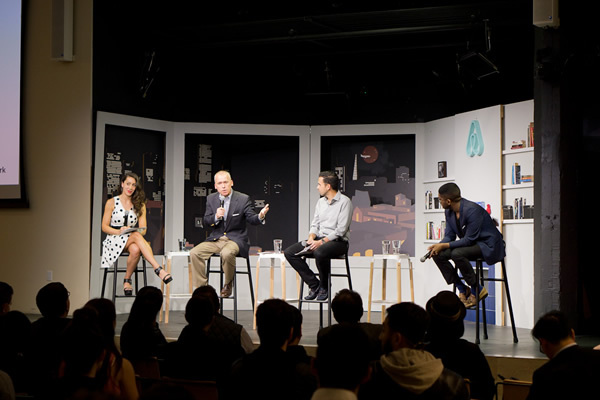 sf.citi partnered with Hustle and Lyft to host a tech-focused District 6 Supervisor Debate at Lyft headquarters. 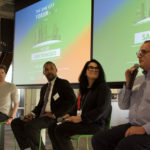 Scheduled just over a month before the November 2018 election, few races could be more important for the technology community and the city as a whole than the race to lead District 6, home to both many of the city's leading tech companies and neighborhoods in need. 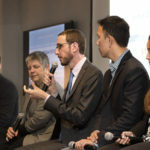 On theme with the debate’s host and sf.citi’s mission to its members, we focused the discussion on the relationship between the tech industry and the greater San Francisco community, asking D6 Candidates Christine Johnson and Sonja Trauss about everything from public safety and homelessness to scooters and the pending San Francisco cafeteria ban. 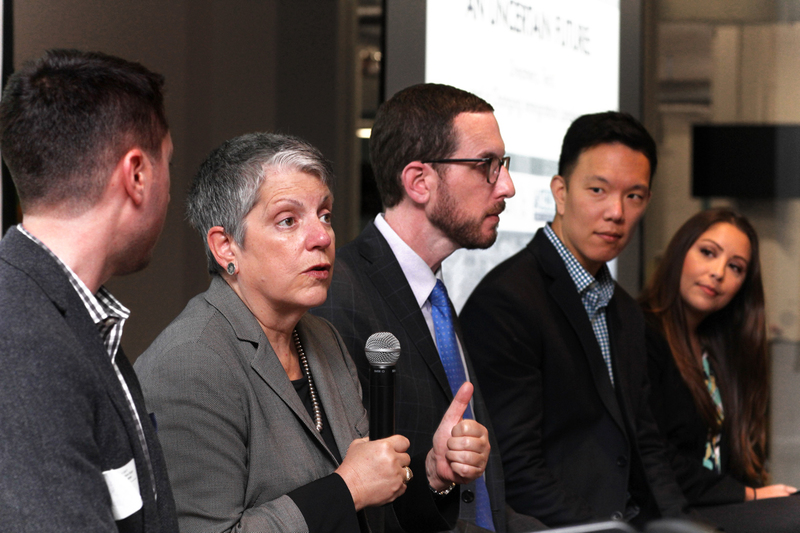 Get a full recap of The District 6 Supervisor Debate here. 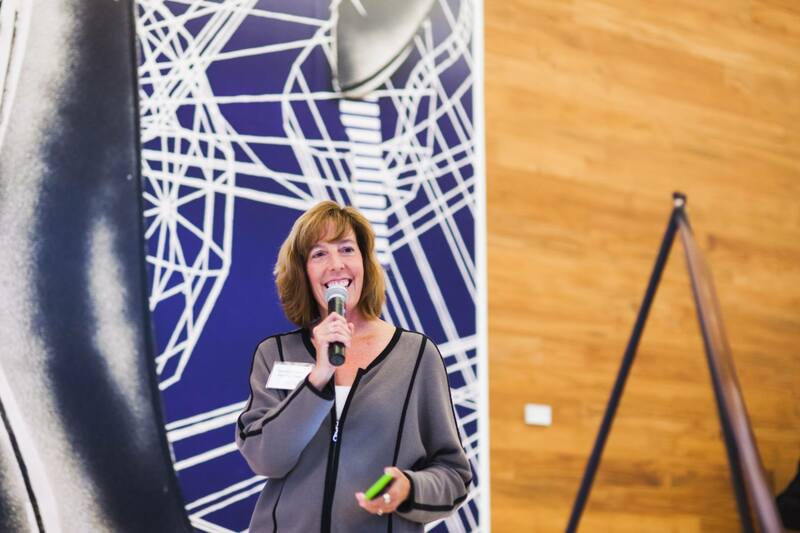 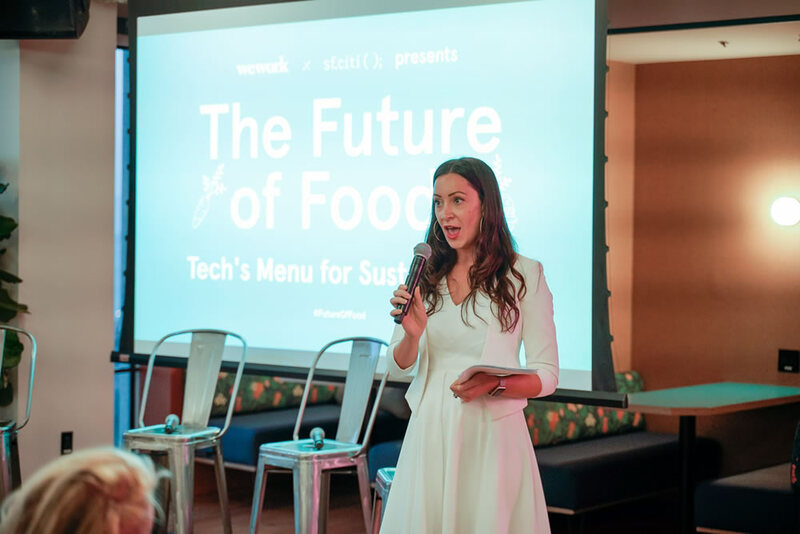 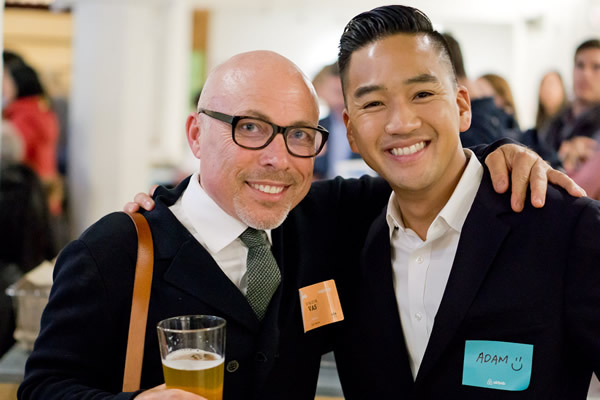 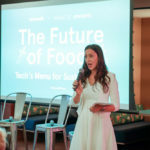 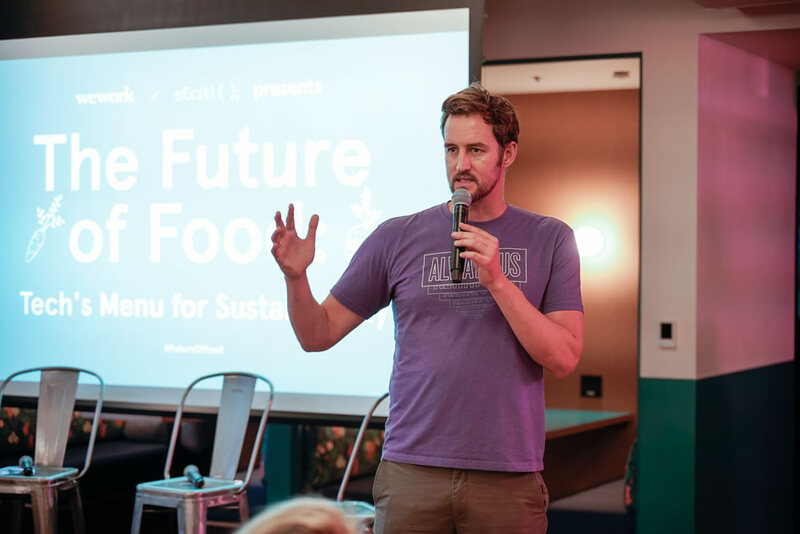 sf.citi and WeWork joined forces to host a one-of-a-kind affiliate event of the Global Climate Action Summit around food innovation and sustainability. 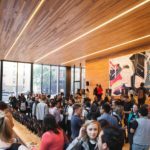 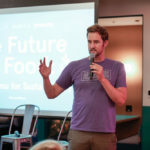 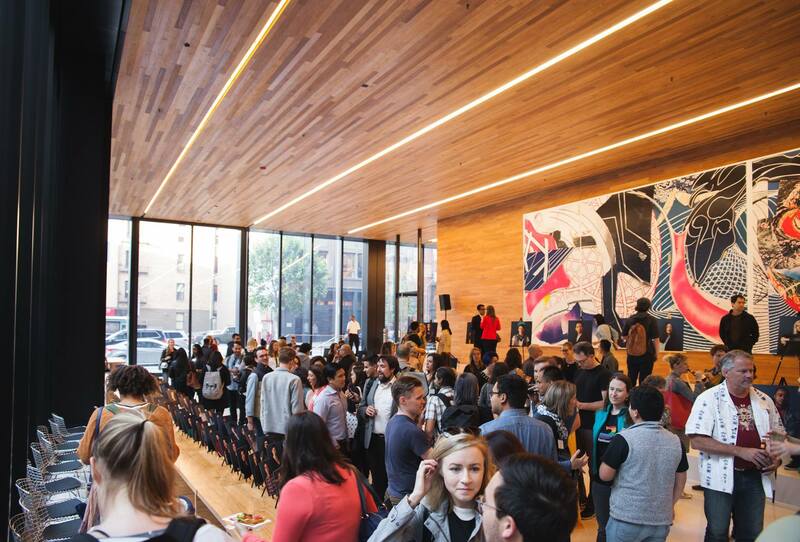 Before a packed room of some 250 attendees, WeWork Co-Founder Miguel McKelvey gave opening remarks to underscore WeWork's sustainability leadership via the company's meat-free commitment. 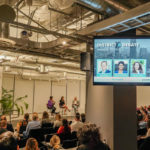 Representing a unique blend of expert insight from the private and public spheres, the evening's speakers included Lindsay Baker, WeWork Vice President of Sustainability and Wellbeing, Ryan Bethencourt, Partner at Babel Ventures and CEO of Wild Earth, Katerina Robinson, Legislative Director to California State Senator Nancy Skinner, and Josh Tetrick, CEO of JUST. 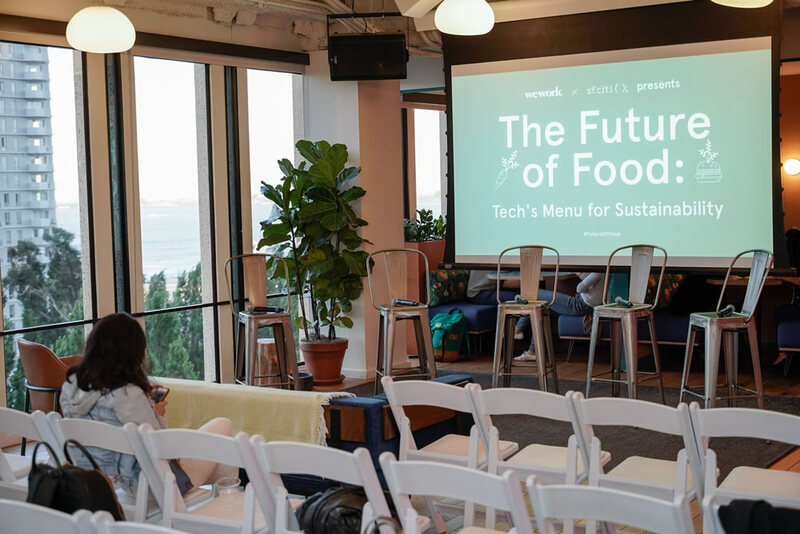 Making the event experiential as it was educational, guests enjoyed gourmet catering by Impossible Foods and an entire Meatless Marketplace of plant-based delicacies. 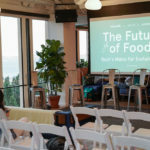 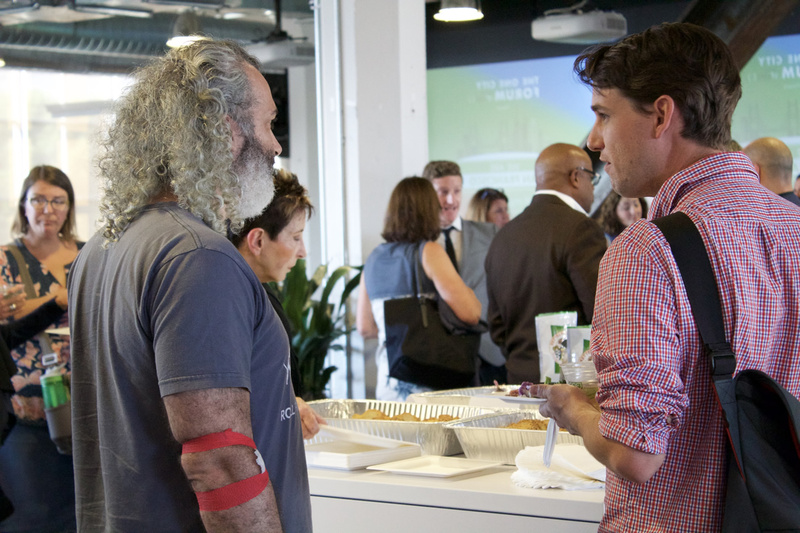 Get a full recap of The Future of Food here. 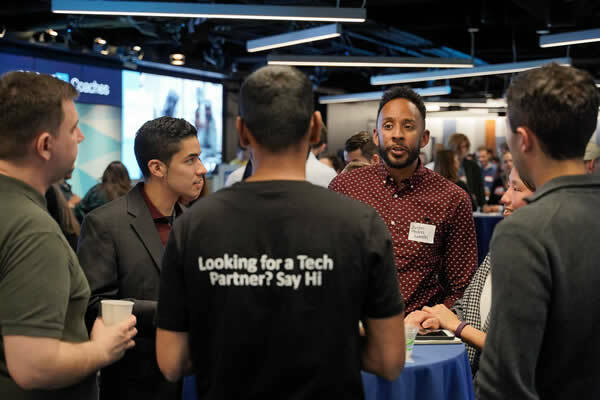 sf.citi led a night of structured speed networking at LinkedIn to connect employees from San Francisco’s tech companies with aspiring tech workers. 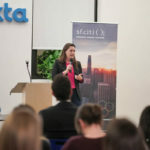 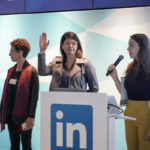 After a brief introduction by LinkedIn Director of Community Affairs Katie Ferrick and sf.citi Executive Director Jennifer Stojkovic, advisors from tech companies throughout the city shared career advice with local job seekers. 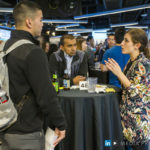 After five sessions of formal speed networking, our 200+ attendees had the chance to mingle and follow-up with advisors, as well as receive lightning resume reviews from career coaching platform HireClub. 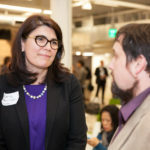 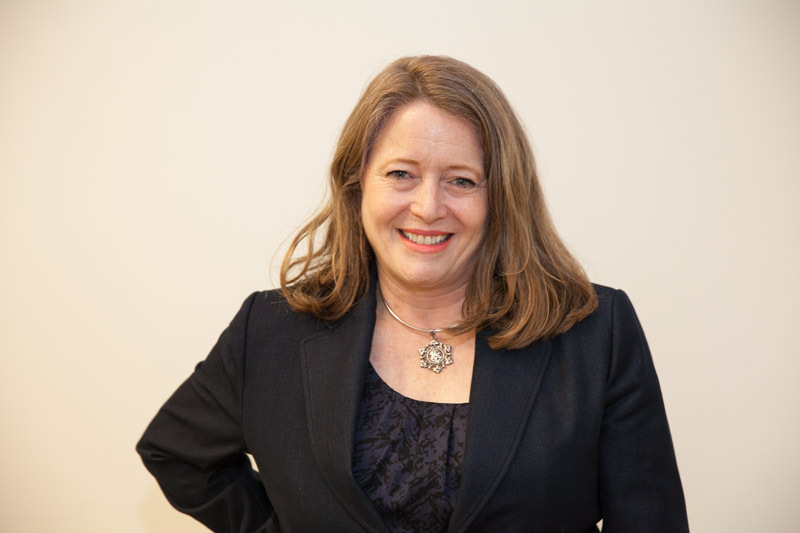 Executive Director of Larkin Street Youth Services Sherilyn Adams closed the event, reflecting on the spirit of collaboration that made the evening enriching for both tech advisors and job seekers. 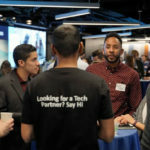 Get a full recap of Breaking Into Tech here. 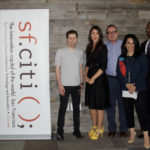 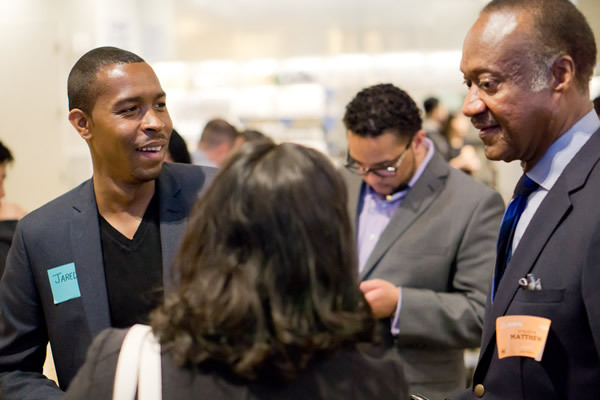 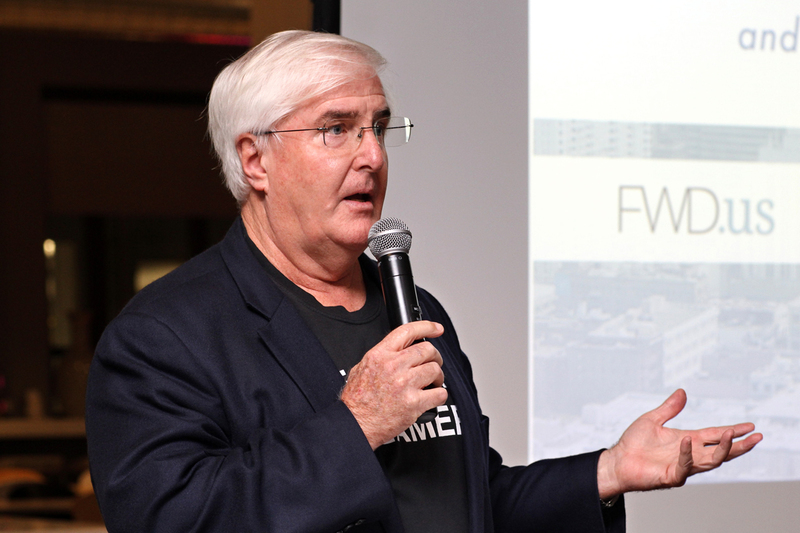 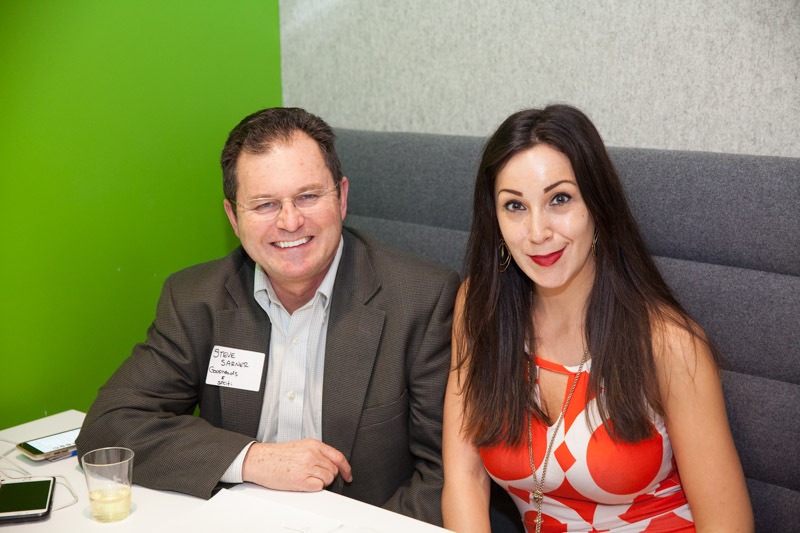 As a part of San Francisco’s Small Business Week, sf.citi and the San Francisco Chamber of Commerce organized a night to discuss how today’s changing business landscape is increasingly being powered by innovation in technology. 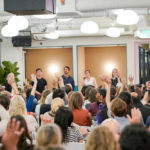 Hosted at Airbnb headquarters, the evening’s panel of industry leaders from Square, Airbnb, and Postmates, and moderated by sf.citi’s own Executive Director, Jennifer Stojkovic, led a thoughtful and informative conversation on the many ways tech is shaping the future of business and the way we work. 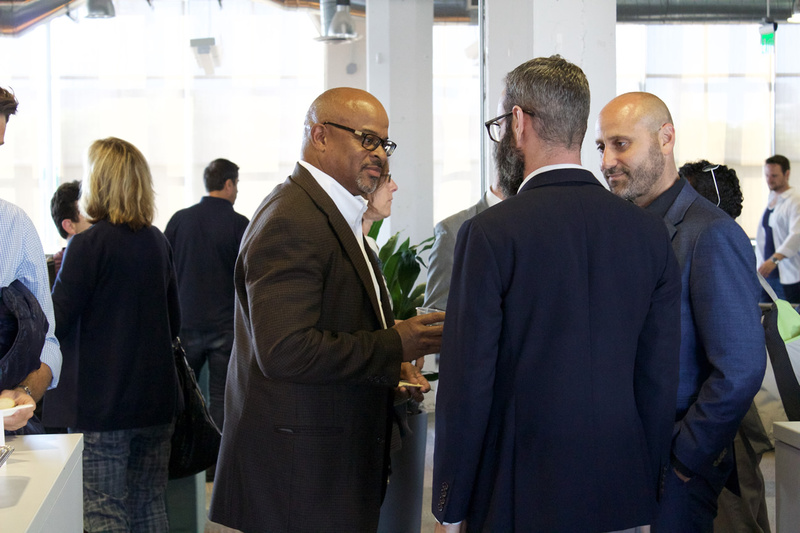 With the help of our partners, we were able to bring in over 200 leaders from San Francisco’s technology and business communities together under one roof for a lively night of networking and learning. 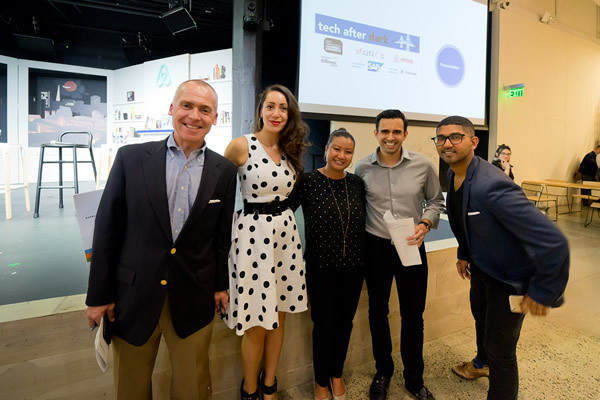 Get a full recap of Tech After Dark here. 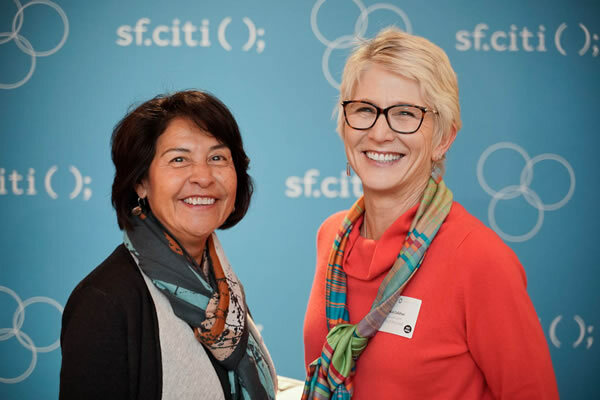 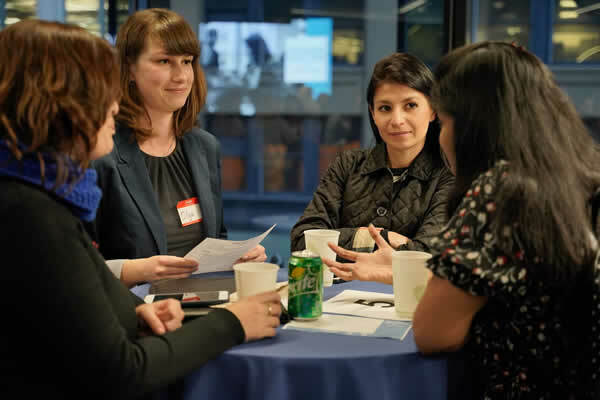 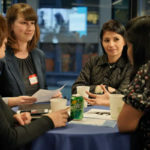 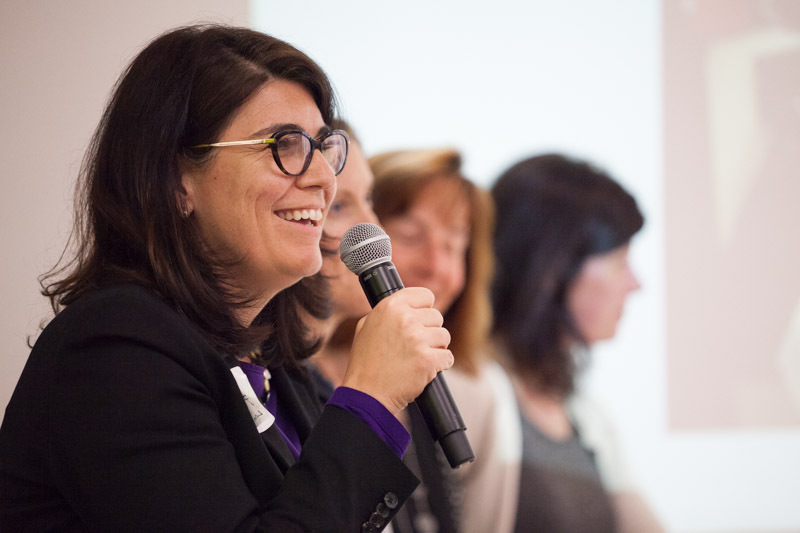 In honor of Equal Pay Day, sf.citi partnered with Hired to bring together a cross section of industry leaders from Google, Intuit, and the Consulate General of Canada to hold a panel conversation on the state of gender pay equity in the workforce. 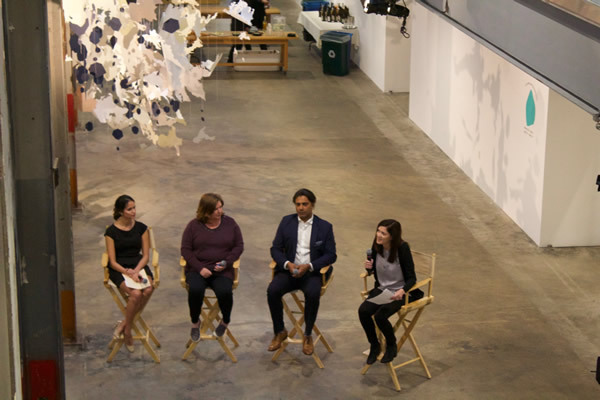 The panel dug deep into the details surrounding the wage gap, referencing Hired’s 2018 Wage Inequality Report to explain recent trends in the tech industry. 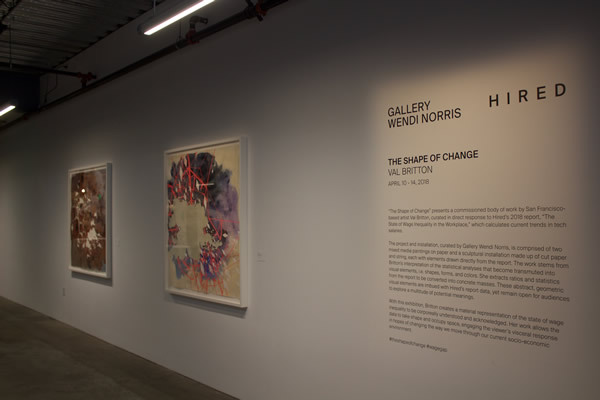 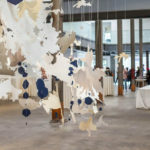 Attendees also enjoyed an art installation from Val Britton, The Shape of Change, commissioned by Gallery Wendi Norris. 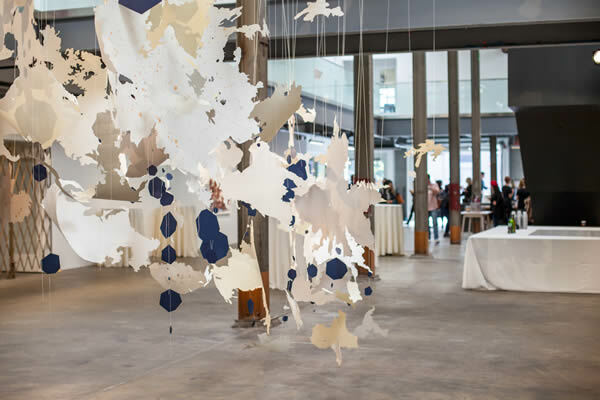 This stunning material representation of the state of wage inequality was on full display at the Minnesota Street Project. 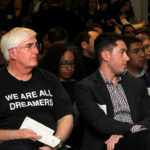 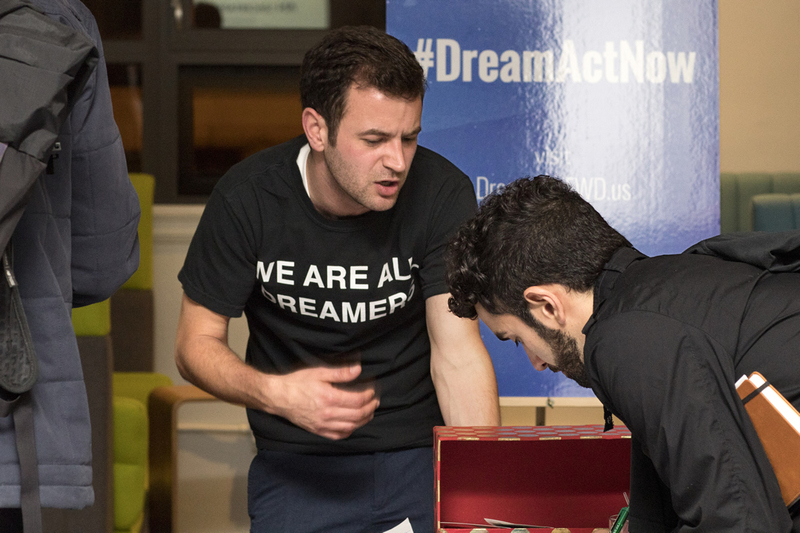 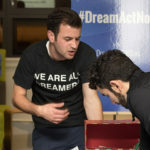 In partnership with FWD.us, the ACLU of Northern California, Harvard Alumni for Education, and our host Microsoft, sf.citi organized a lively and timely conversation about the Trump Administration’s plans to end the Deferred Action for Childhood Arrivals (DACA) program, as well as other immigration reform issues. 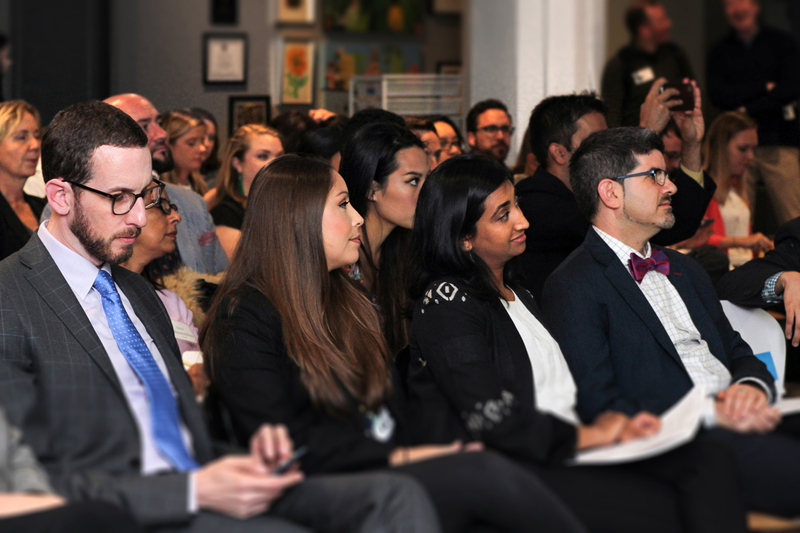 Delivered in front of a packed house, our panel dug deep into DACA’s future and the integral role immigrants play in keeping our economy strong, especially in the technology industry. 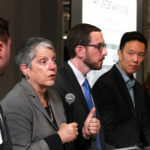 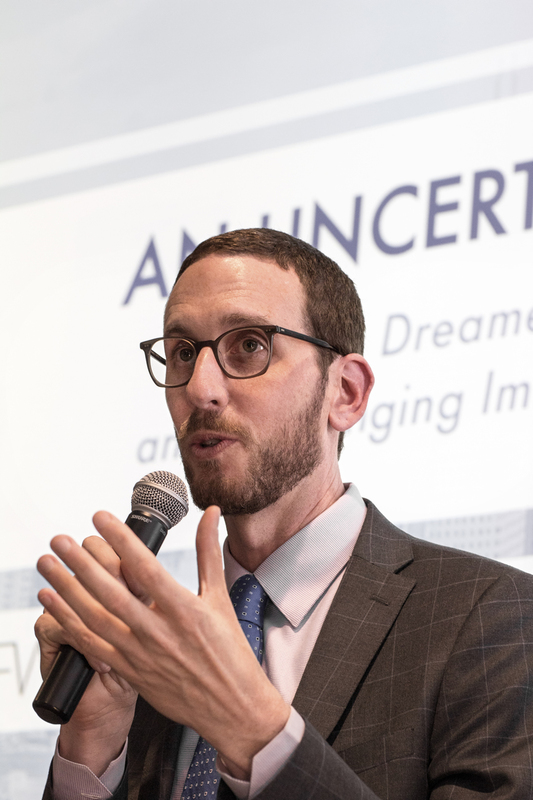 We received overwhelmingly positive feedback on the night’s distinguished group of speakers and panelists, including State Senator Scott Wiener, president of the University of California System Janet Napolitano, and more. 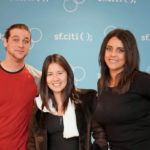 Read more about the event at CNET. 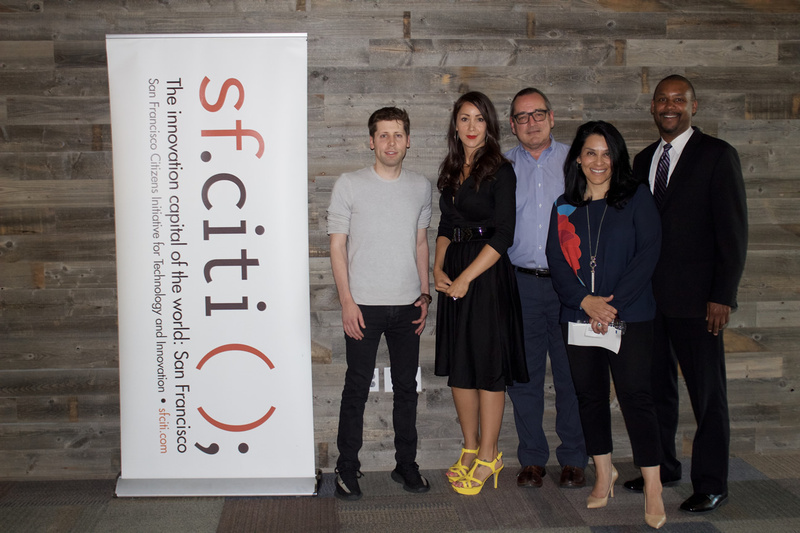 sf.citi partnered with Y Combinator to discuss the future of our city as we navigate the Trump administration. 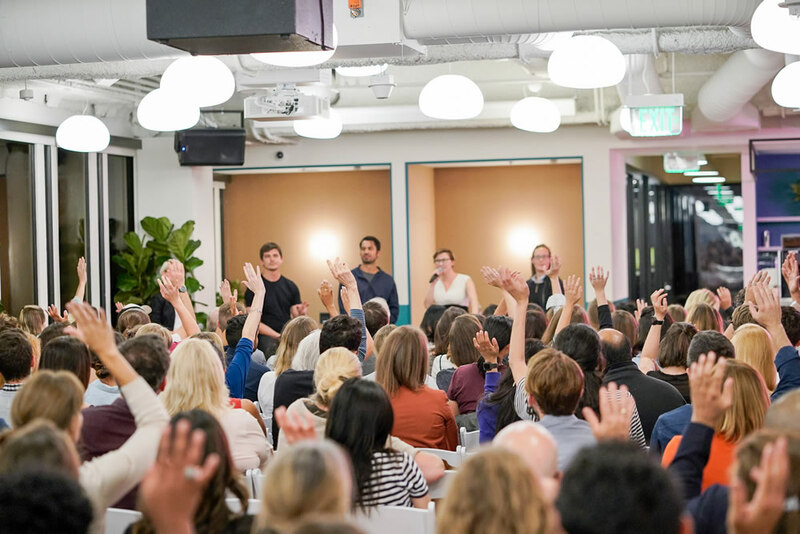 Sam Altman, President of Y Combinator, opened the event and led a compelling discussion between Ashley McCumber, CEO of Meals on Wheels SF; Gilda Gonzales, CEO of Planned Parenthood Northern CA; and Shamann Walton, President of the SF Board of Education. 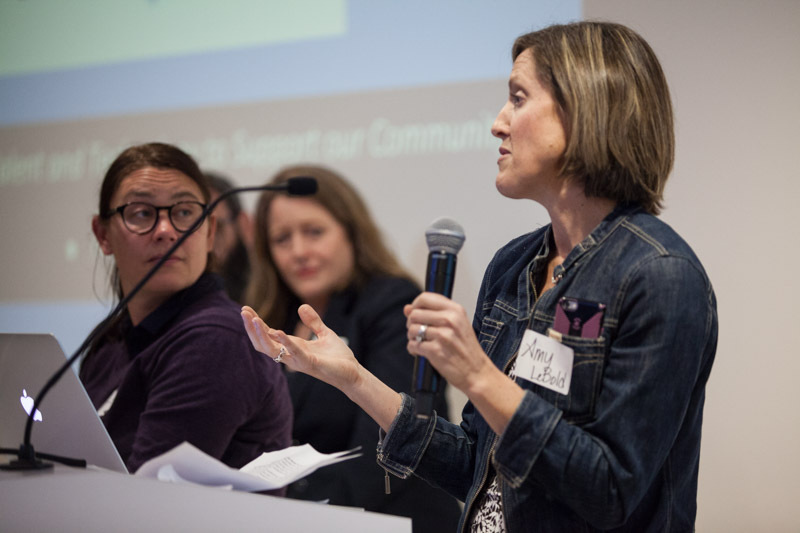 The panelists discussed the potential effects federal budget cuts would have on our local community and encouraged attendees to “think globally, but act locally” by volunteering their time and talents to important local causes. 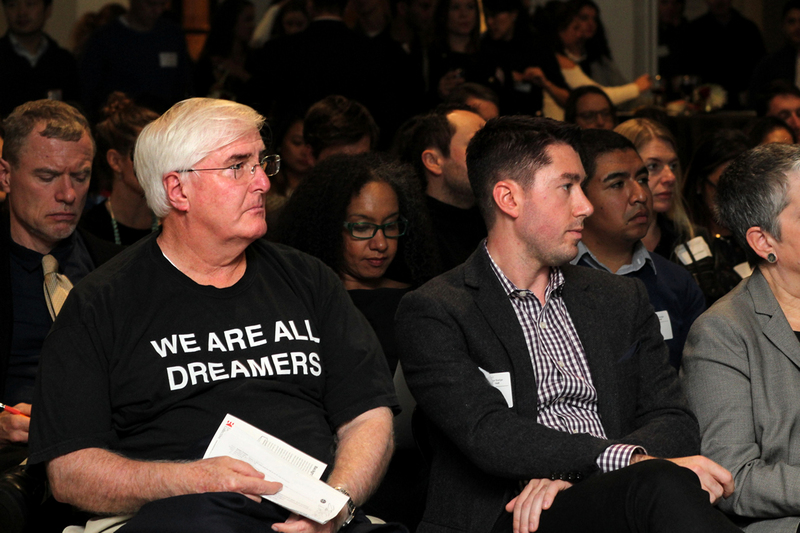 sf.citi and the ACLU of Northern California partnered to deliver One City Standing Together, an event bringing together the ACLU and a panel of top tech leaders from sf.citi member companies, including AdRoll, Airbnb, Zendesk, and Erickson Immigration Group, to discuss the issues surrounding recent immigration restrictions and how to move forward. 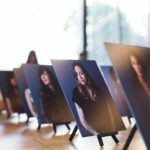 Helena Price also debuted her new photography exhibit, Banned, a photo series of tech workers who have been affected by the immigration ban. 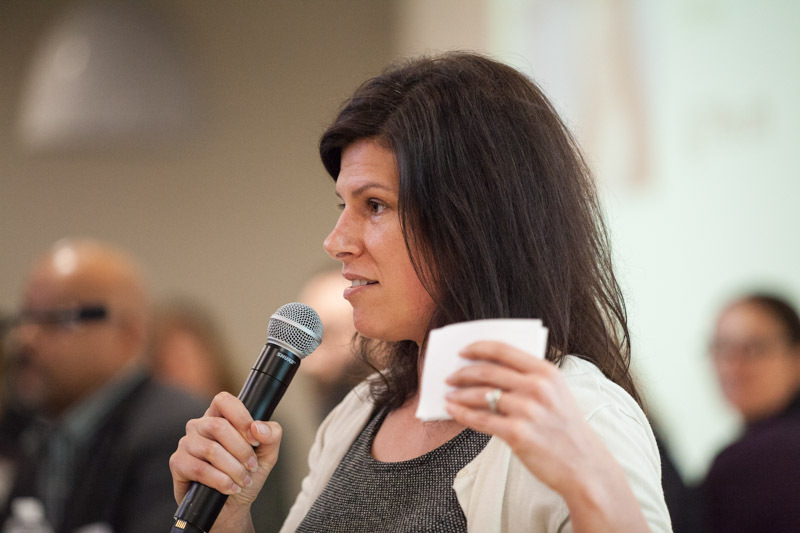 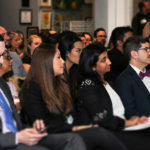 Learn more about the event by reading a Think Tank post from one of the event’s attendees. 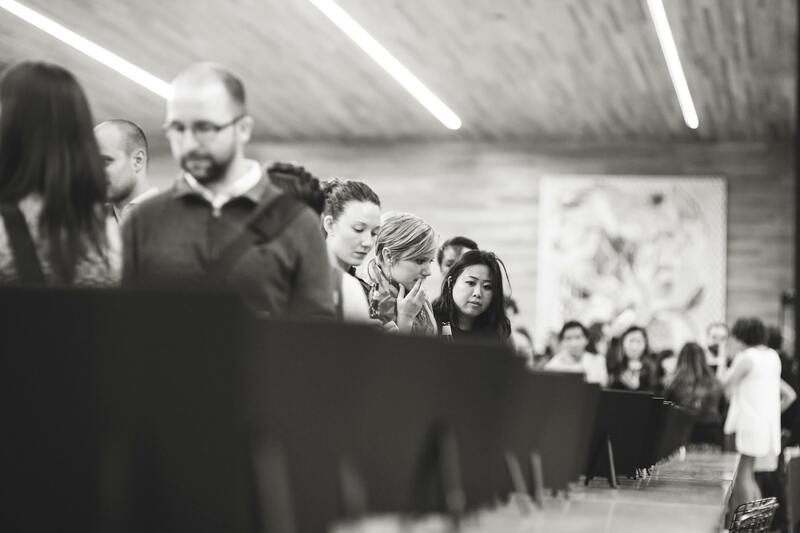 Prior to the November 2016 election, sf.citi hosted a discussion at Microsoft on the value of voting and the importance of local elections. 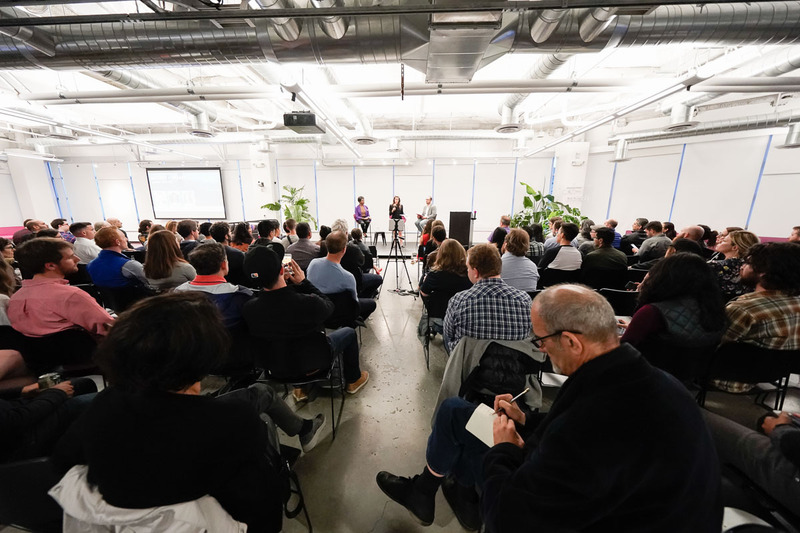 Former Mayor Willie Brown shared his personal insights into San Francisco’s political scene, and a panel of tech industry entrepreneurs from Google, Y Combinator, Microsoft, and Brigade discussed recent innovations in voting and civic engagement. 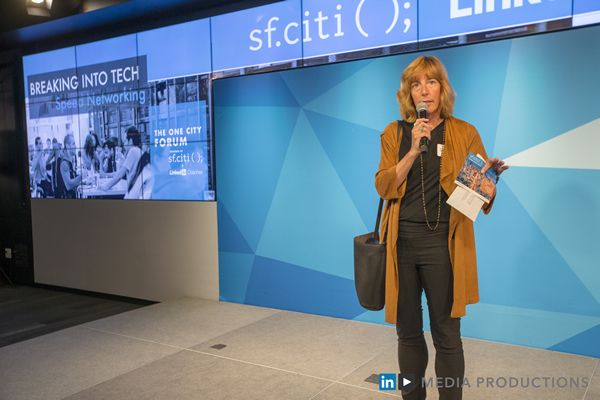 In honor of San Francisco Pride, sf.citi’s summer One City Forum event celebrated and called attention to diversity in the tech industry. 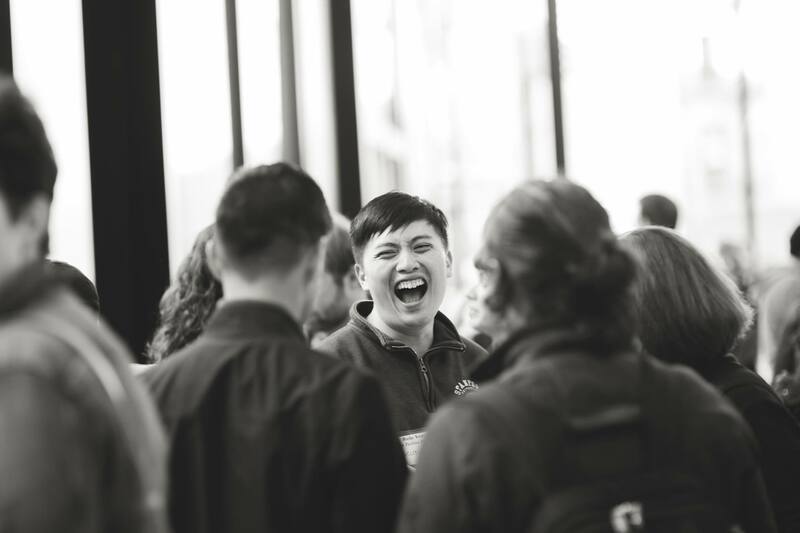 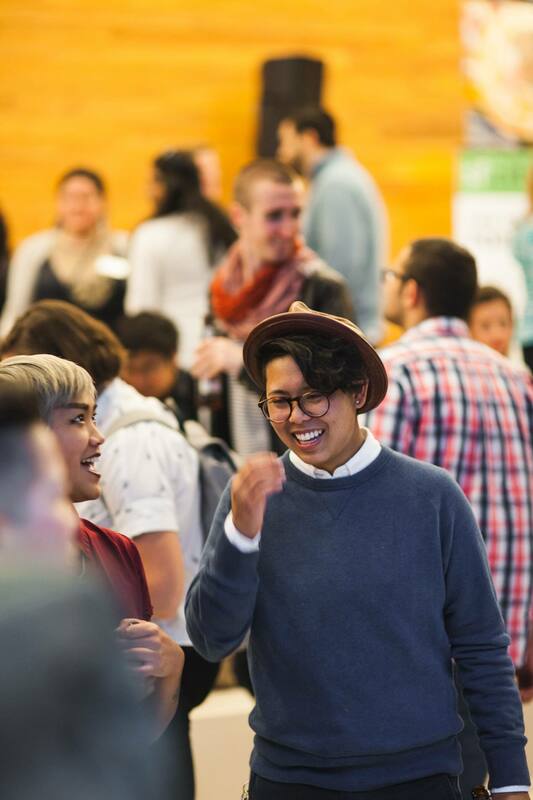 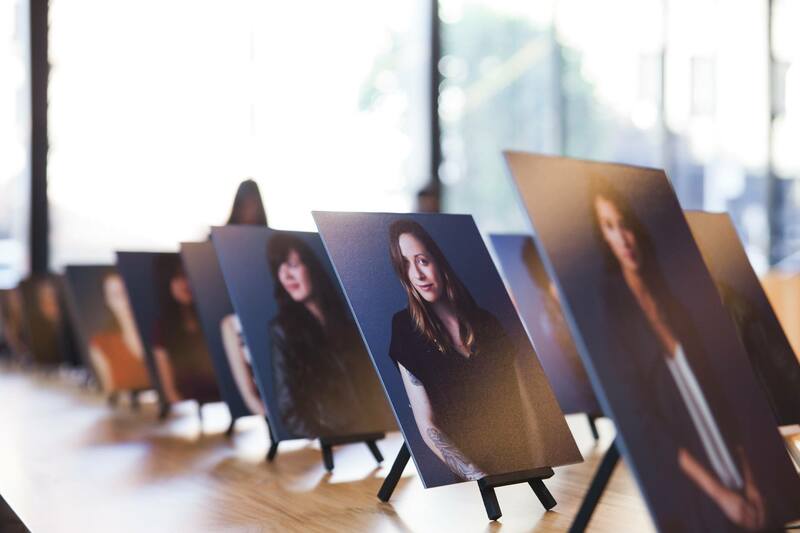 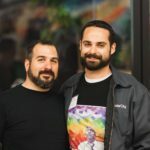 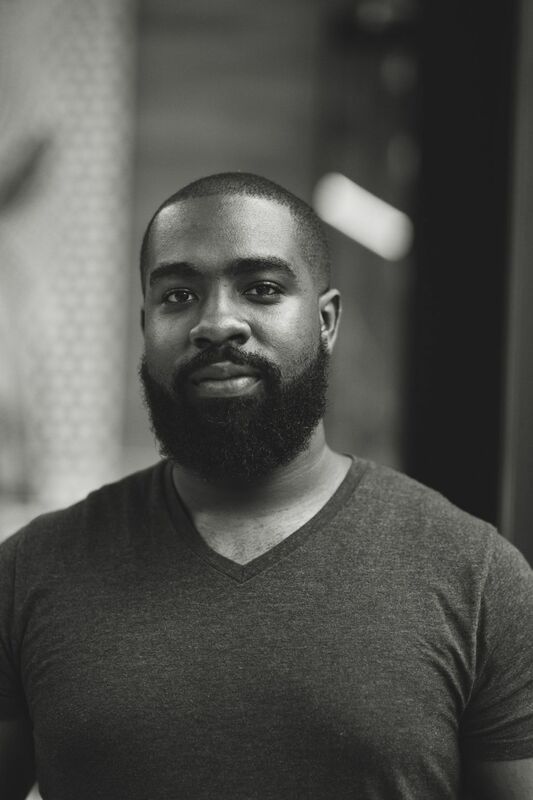 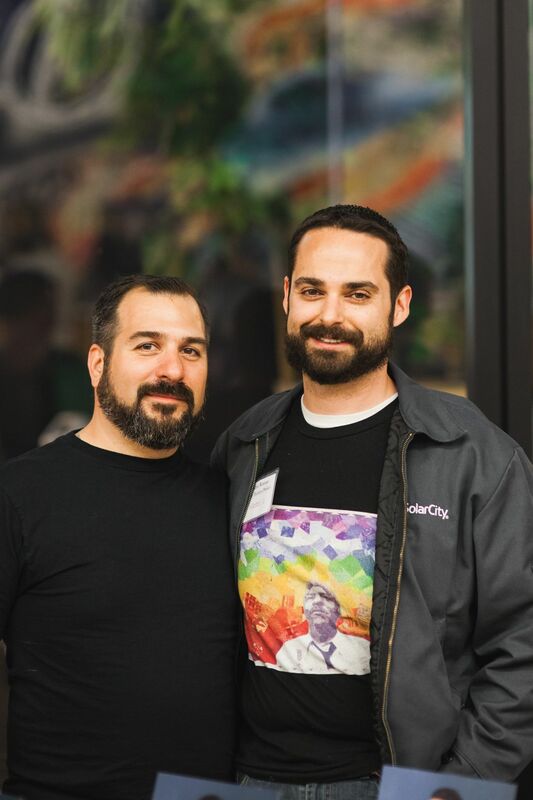 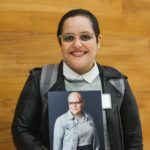 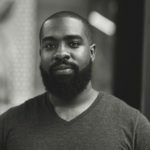 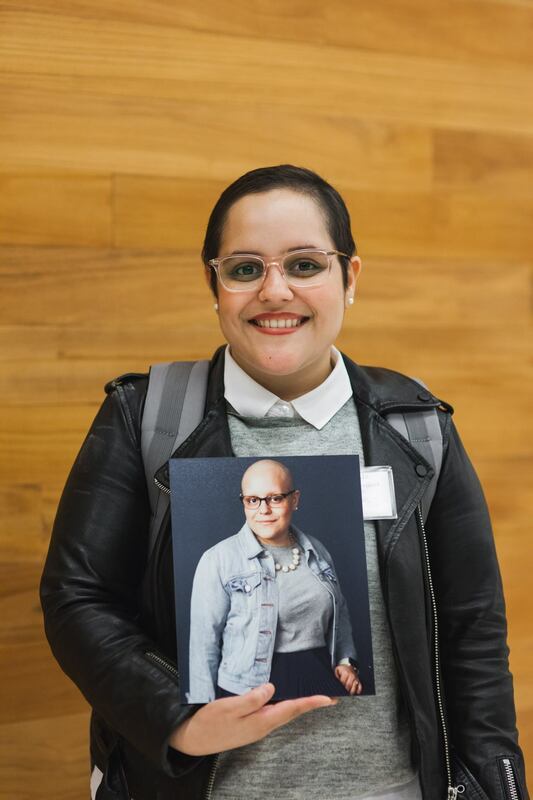 At the event, photographer Helena Price launched the Techies Project, a portrait collection of subjects underrepresented in the greater tech narrative, including many LGBT tech workers. 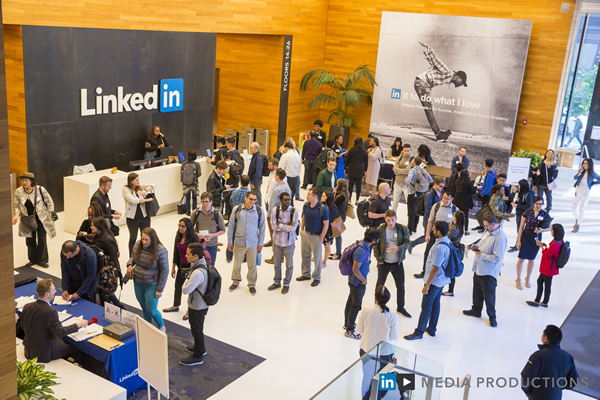 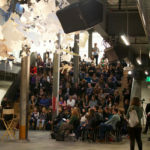 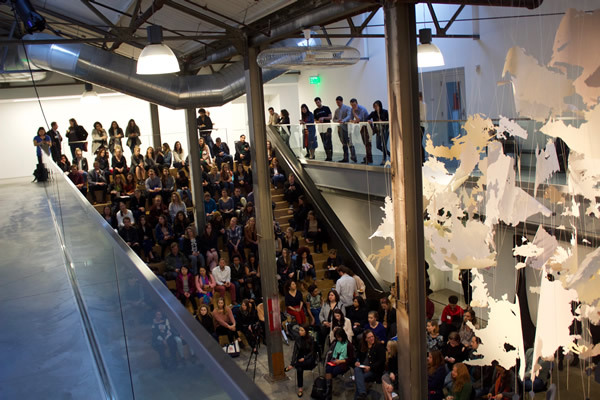 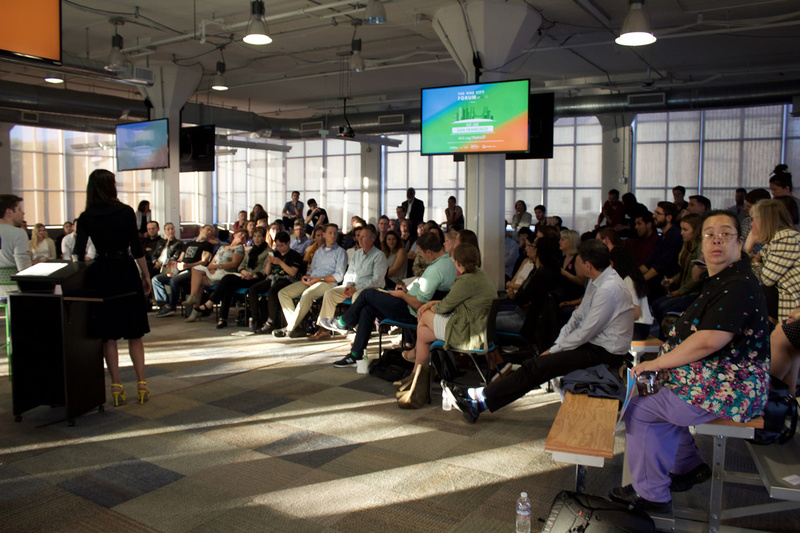 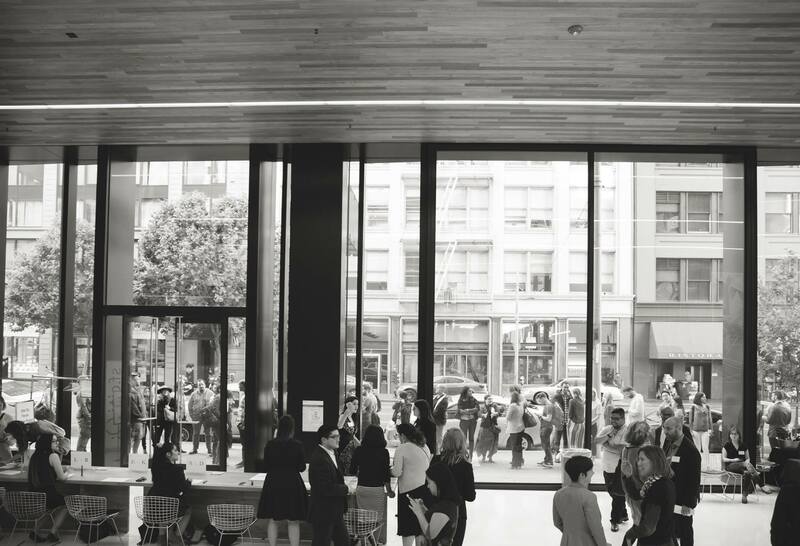 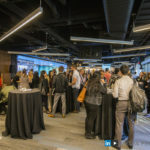 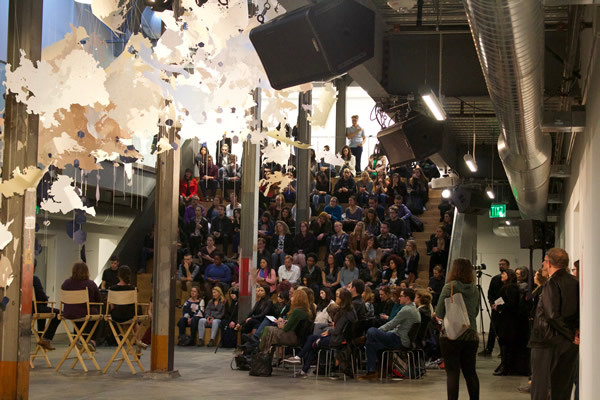 LinkedIn generously hosted a sold-out room of over 400 guests in the lobby of their new San Francisco office in SOMA. 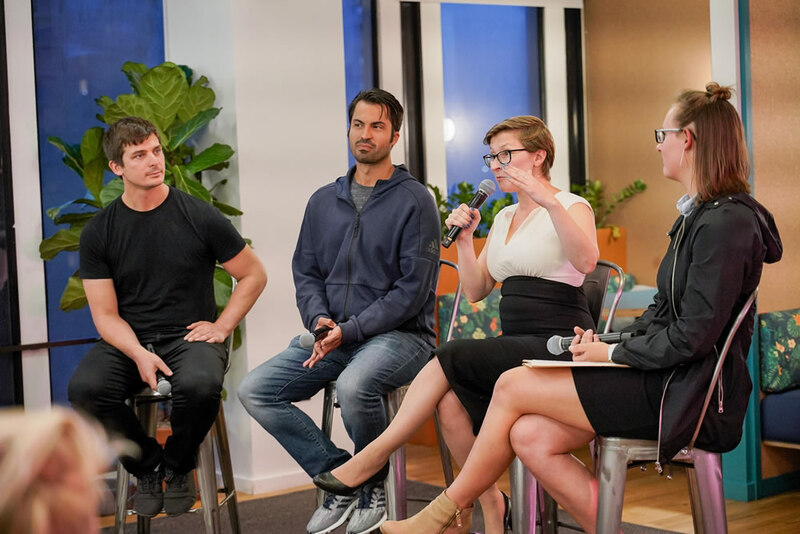 Click the thumbnails below to see photos from this event. 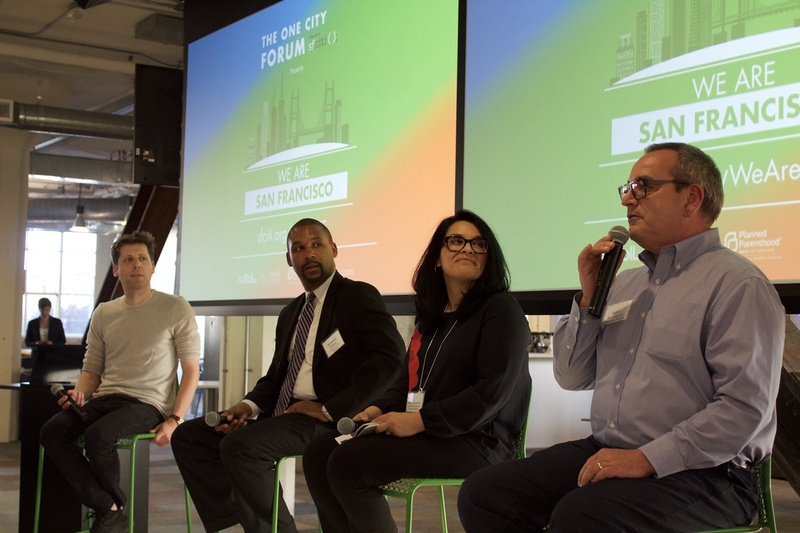 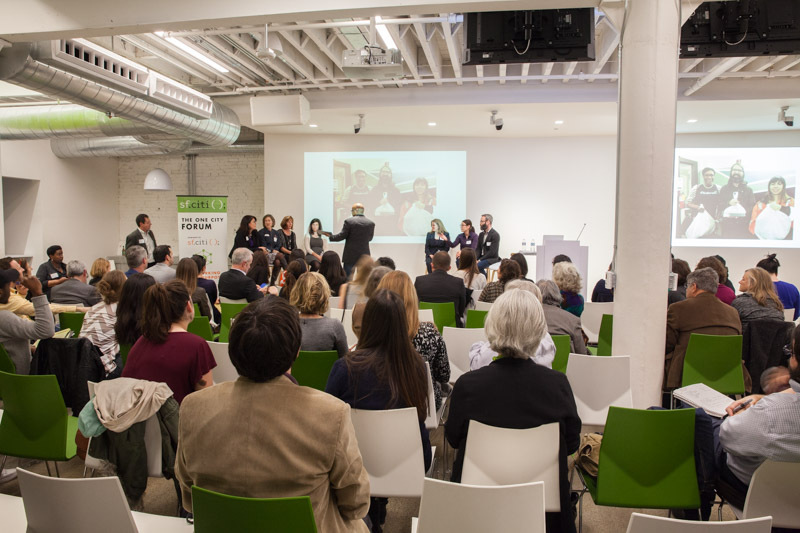 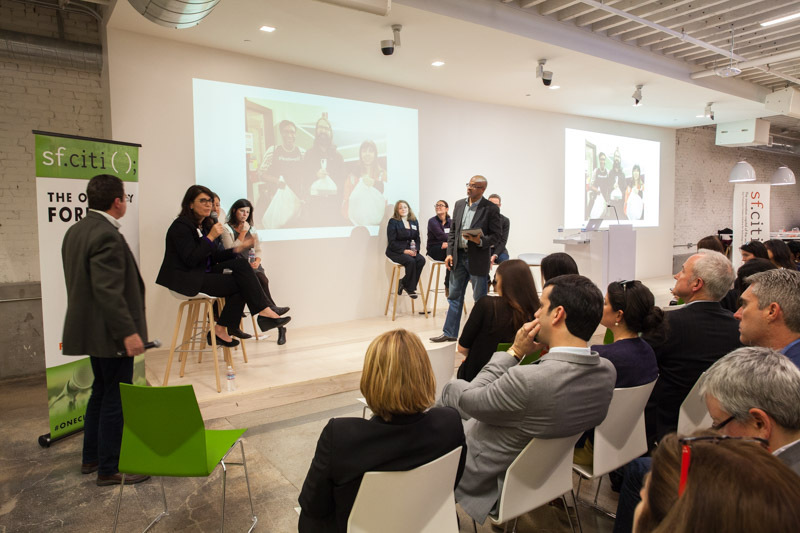 Our inaugural One City Forum event, hosted by Zendesk, made the case for substantive corporate social responsibility (CSR) programs in companies large and small. 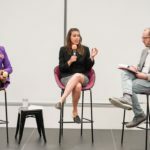 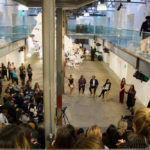 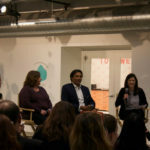 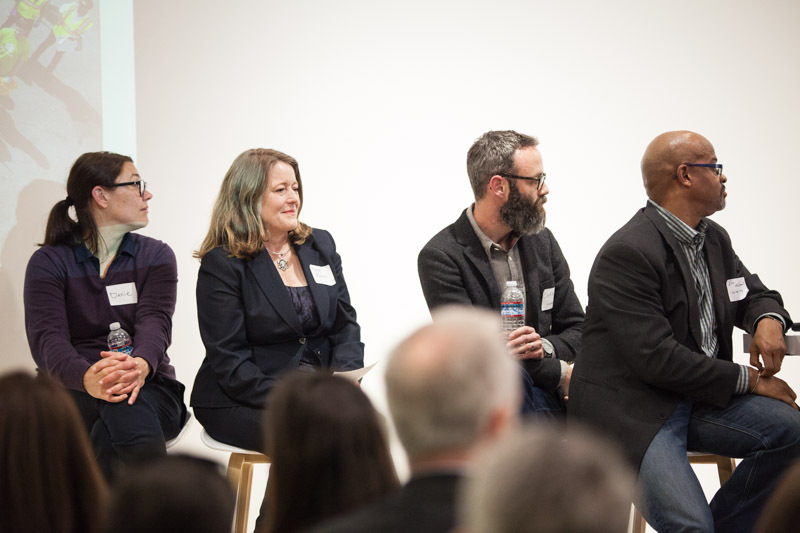 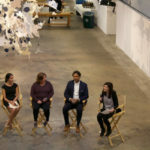 sf.citi brought together a cross-section of panelists from the tech and nonprofit sectors to discuss the importance of CSR, what works, and what doesn’t.